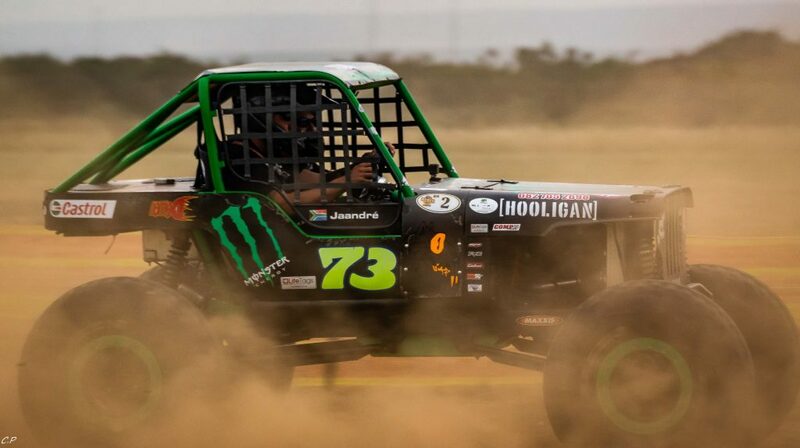 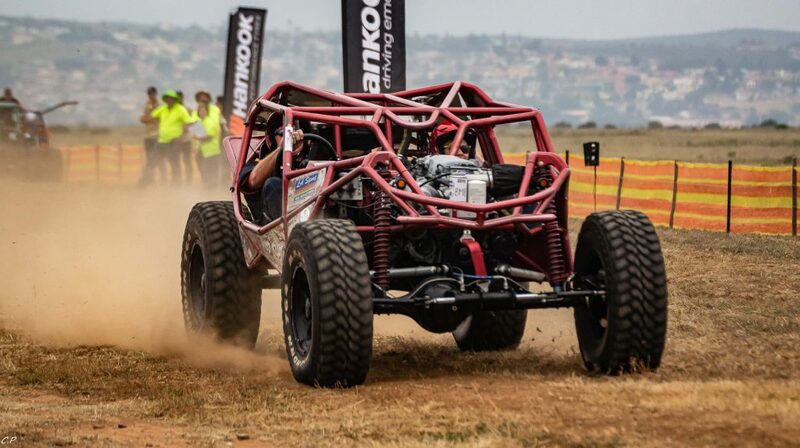 the event was started by Römer Extreme 4×4 Challenge. 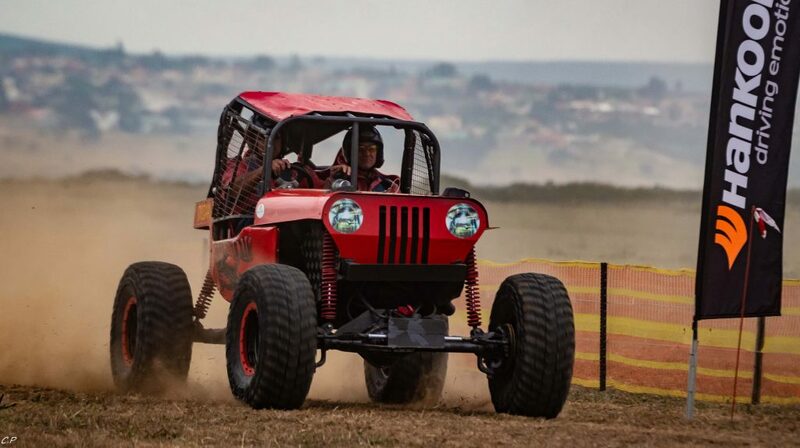 This 4×4 challenge is truly unique to this festival and serves as a huge attraction for the crowds. 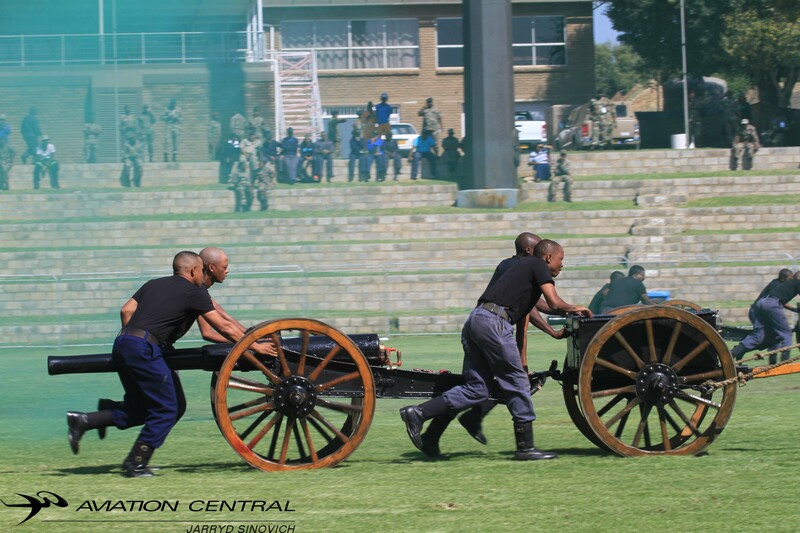 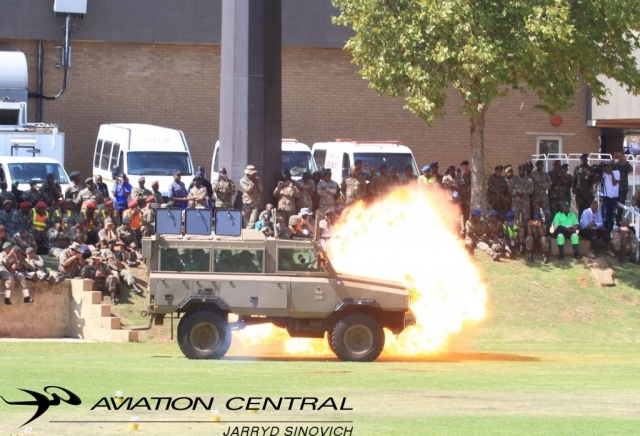 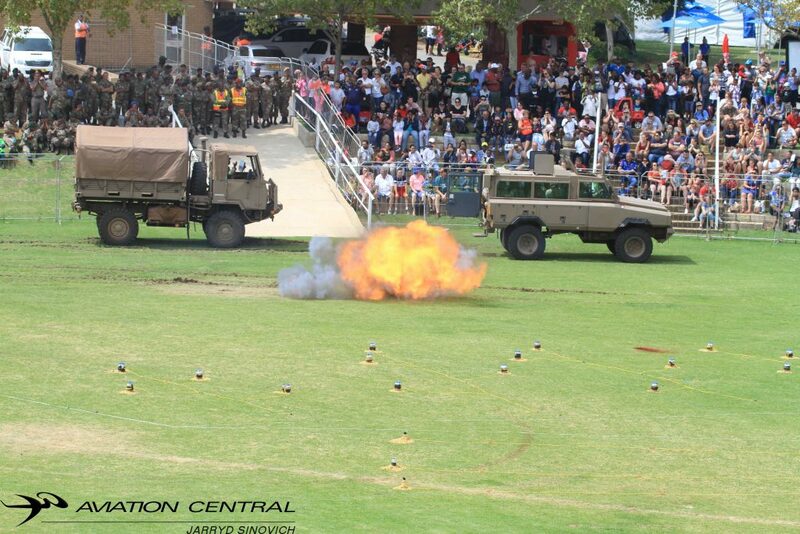 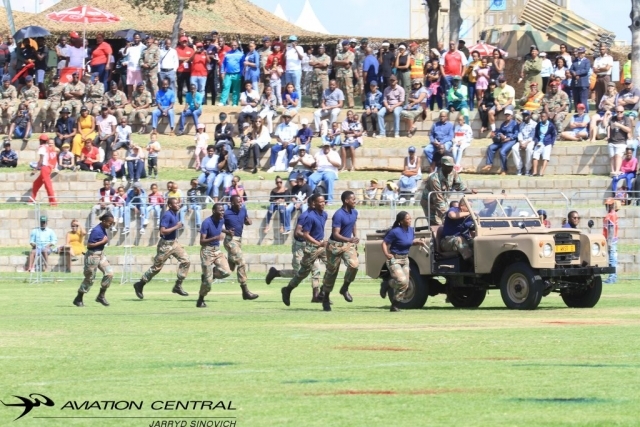 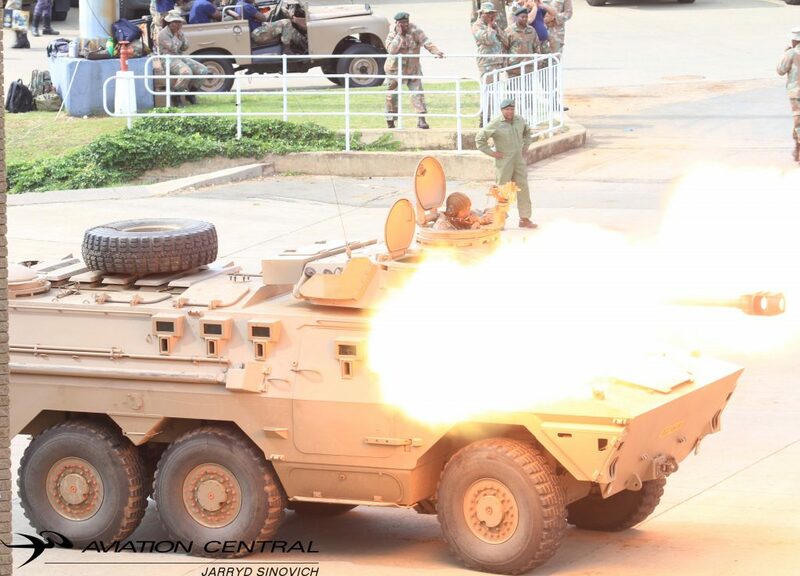 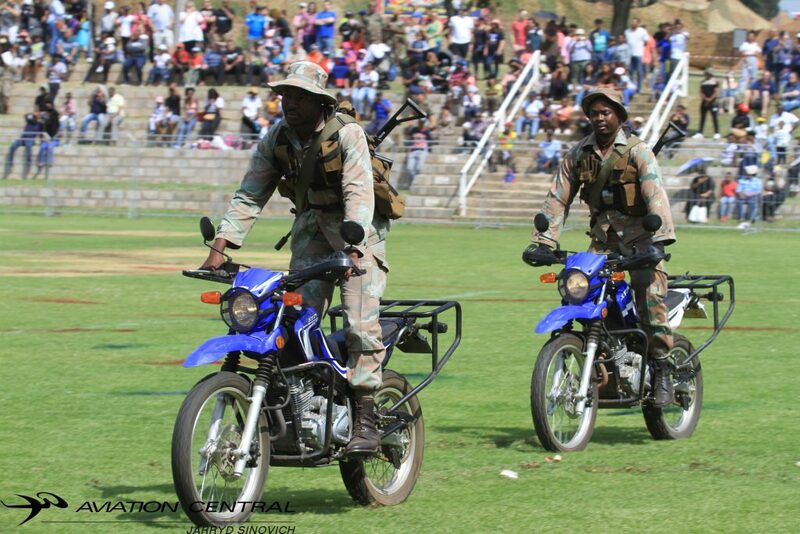 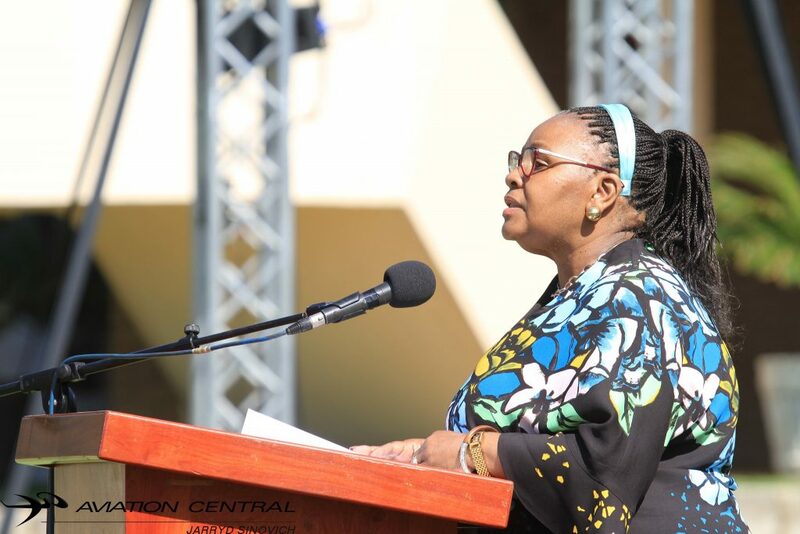 Participants took to the challenge in standard 4×4 vehicles as well as modified “pipe cars”. This event lasted throughout the day and people flocked through the gates to come and witness the challenge. 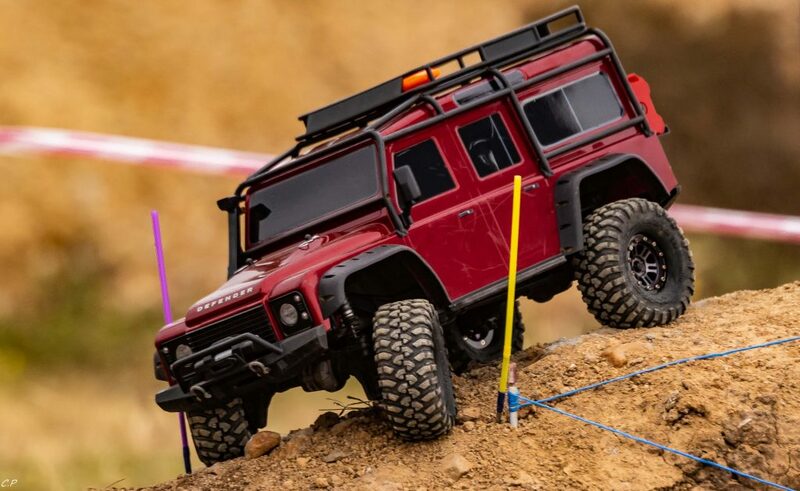 There was also a Radio Control 4×4 – Challenge, which saw the “little brothers” take to the challenge. 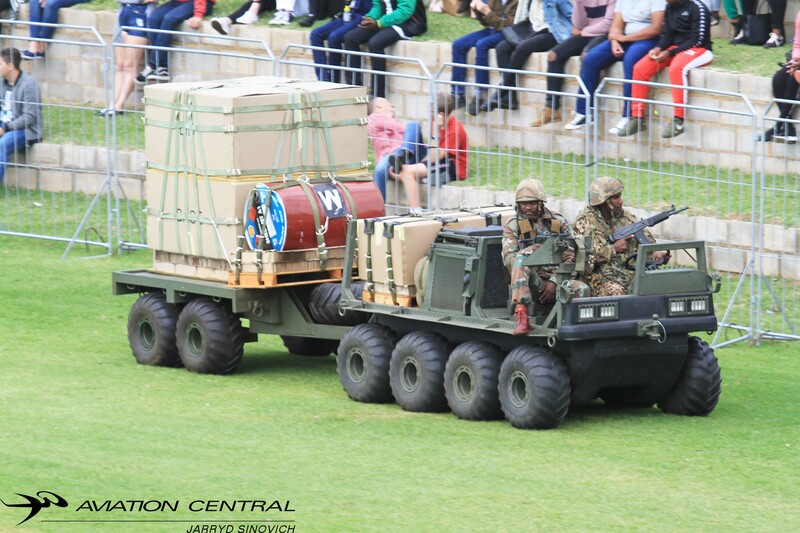 This event was also hugely successful and visitors really enjoyed watching these radio controlled “crawlers” showing their capabilities. 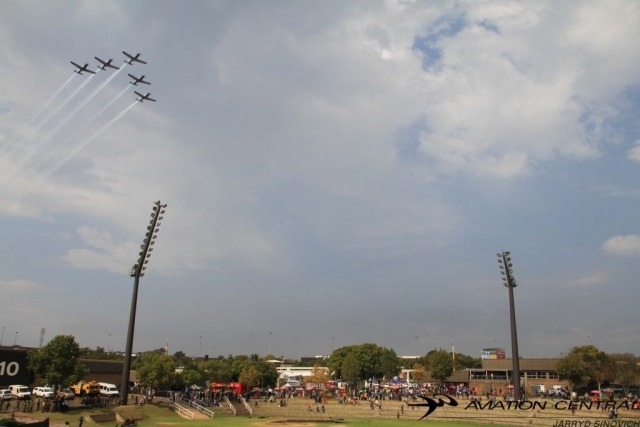 show from the air. Visitors patiently waited there turns, and one could see on the faces of both young and old what enjoyment a helicopter flight can bring. 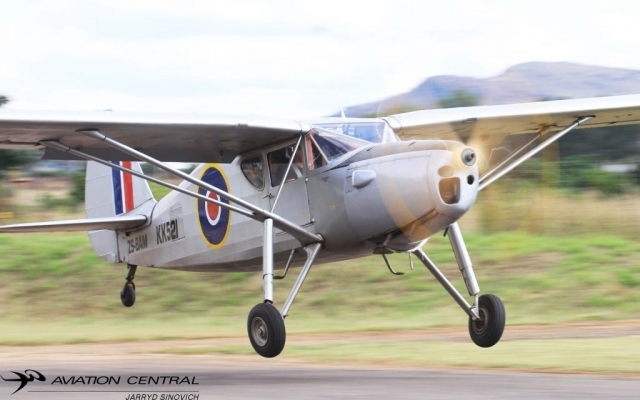 Fixed wing flights were also provided in the SF-25 Super Falke. Skydive Jeffreys bay provided all the skydiving entertainment for the show, and also did tandem jumps with some lucky festival visitors. 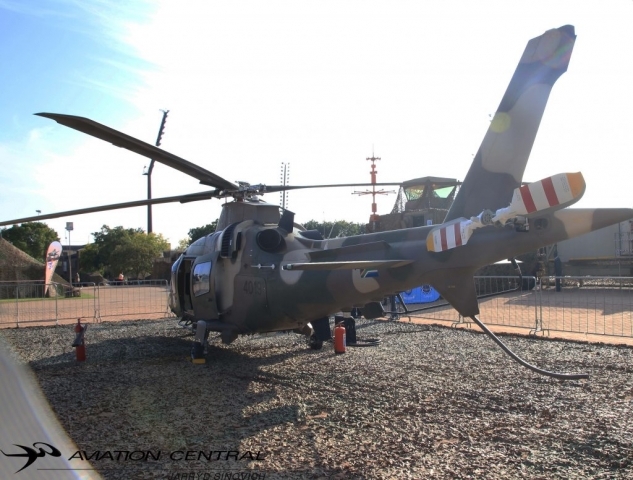 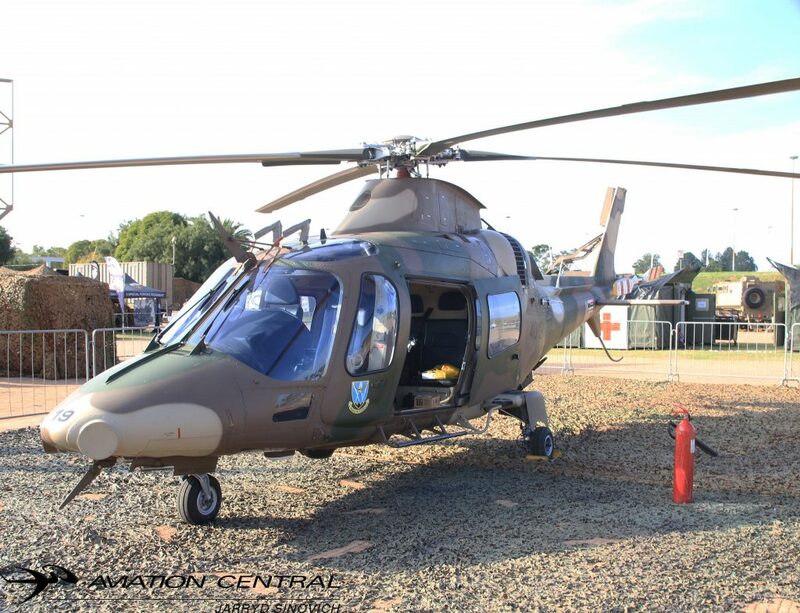 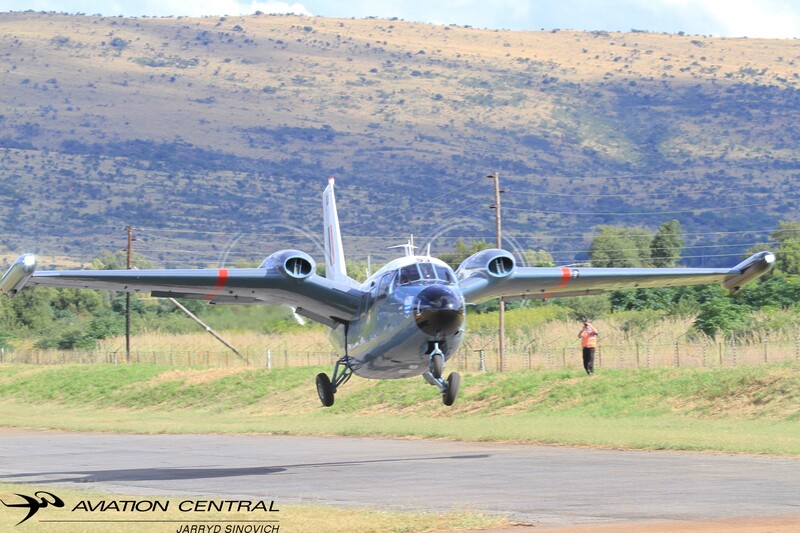 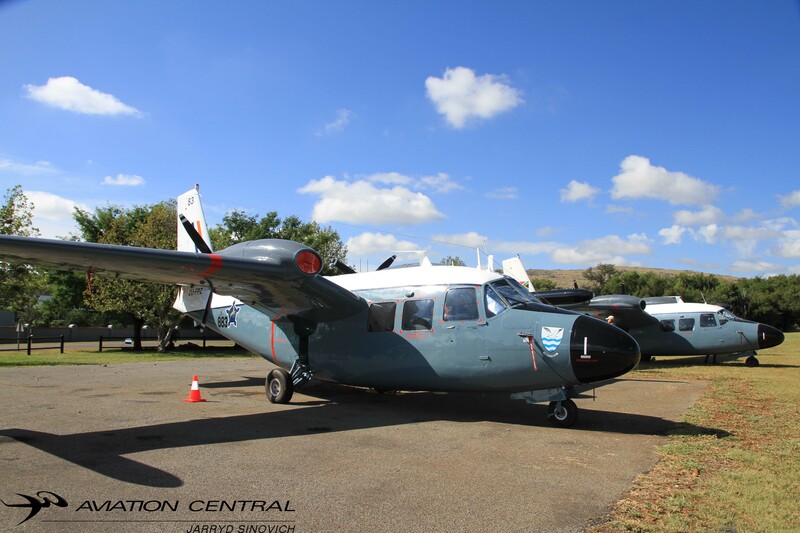 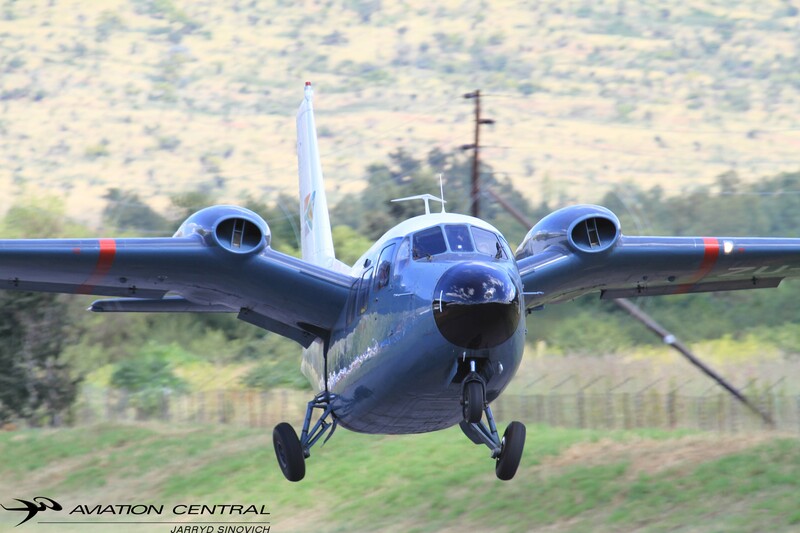 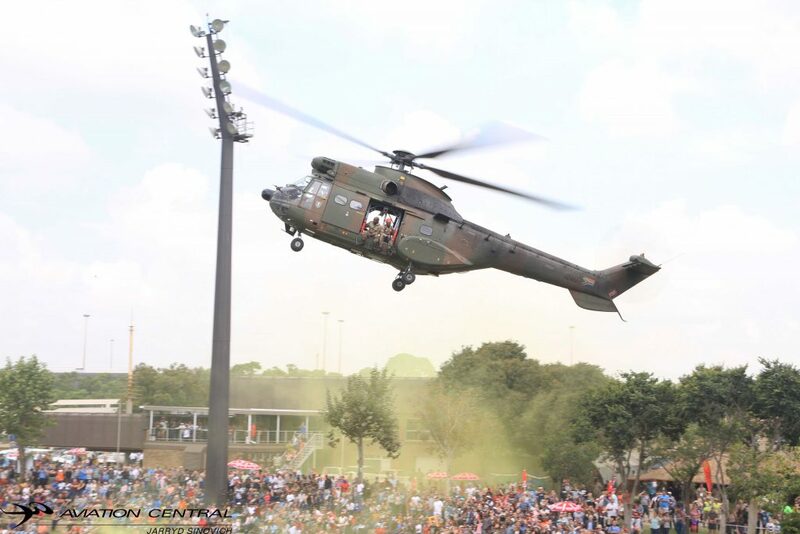 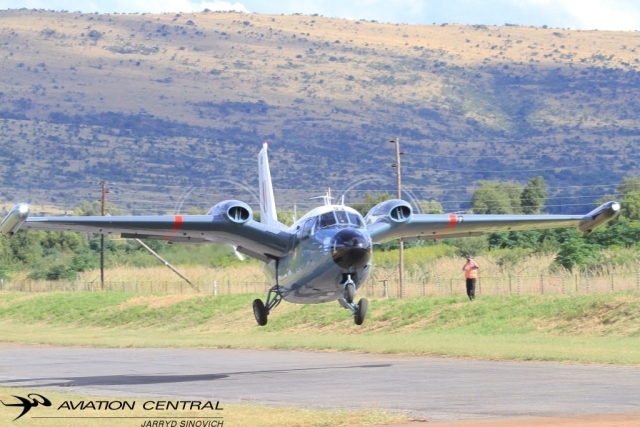 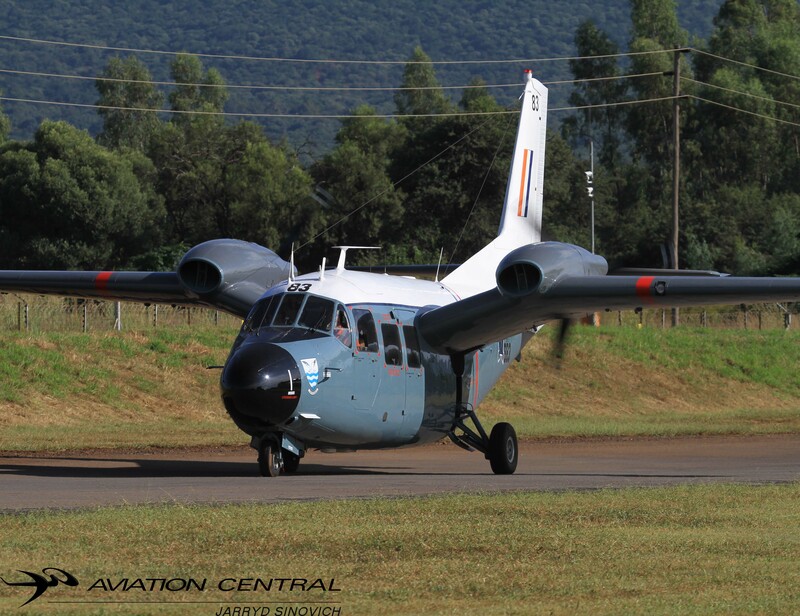 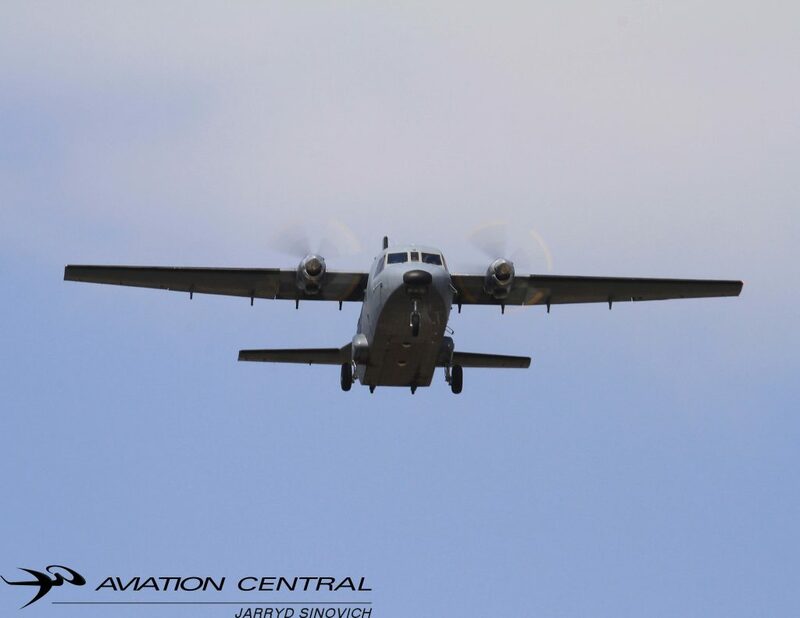 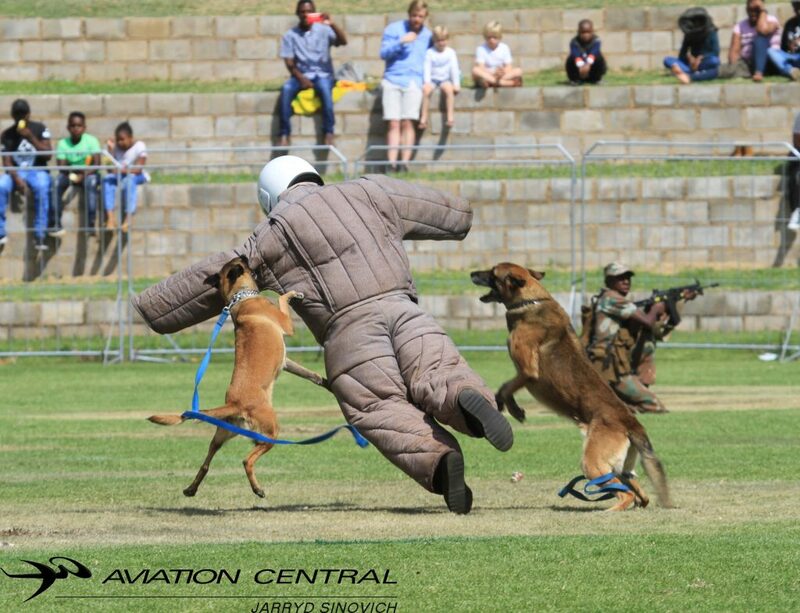 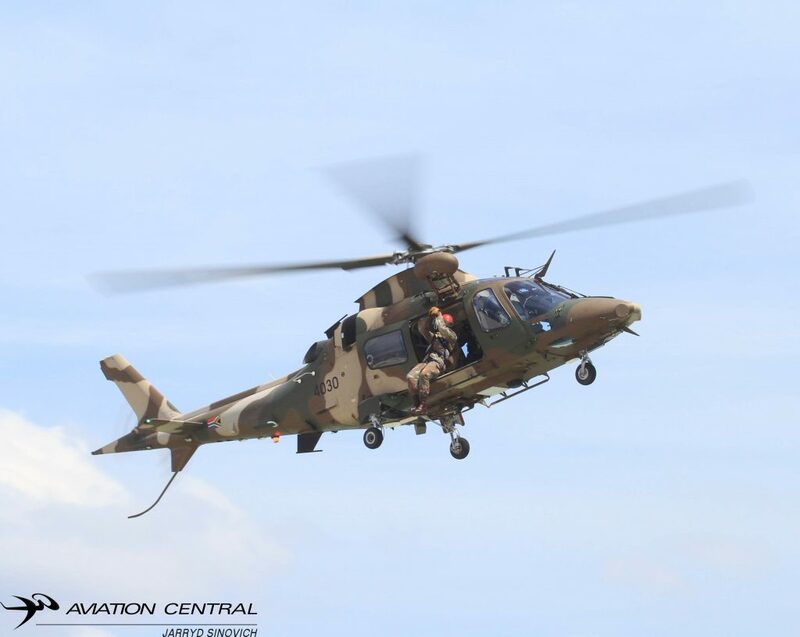 The Atlas Angel C4M Kudu utilised for the jumps was also one of the most favourite aircrafts on display. 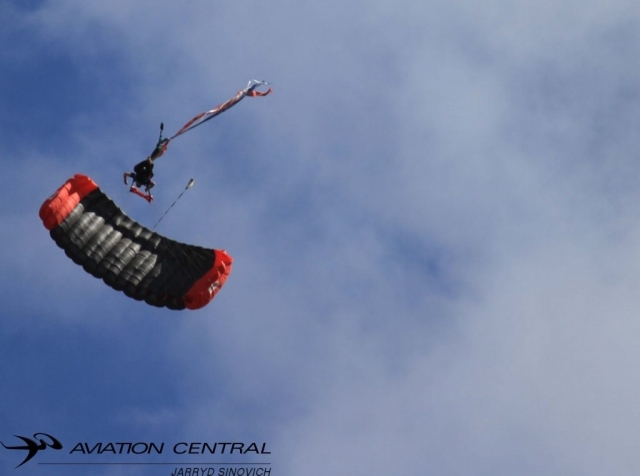 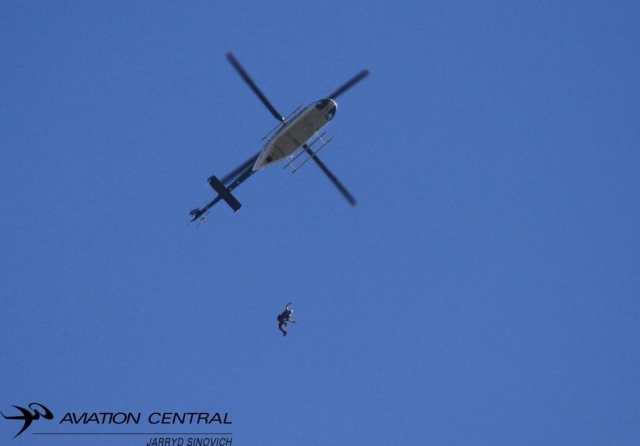 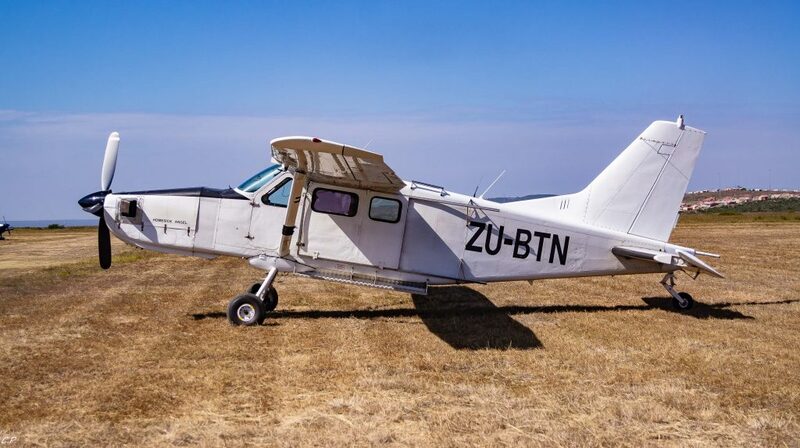 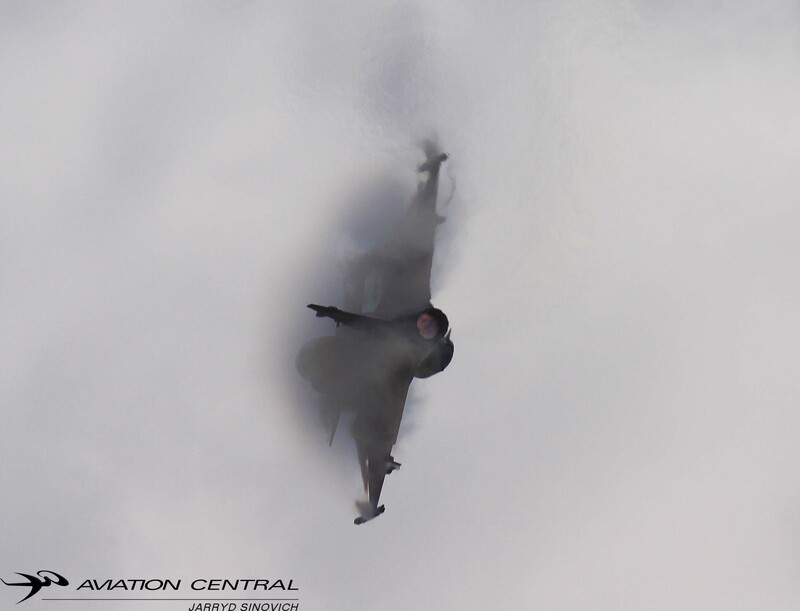 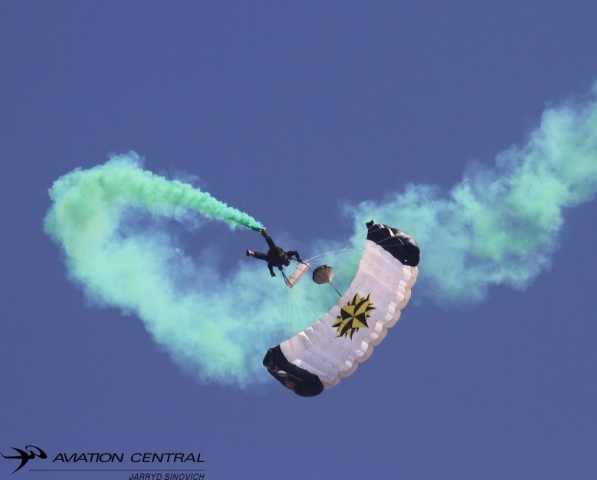 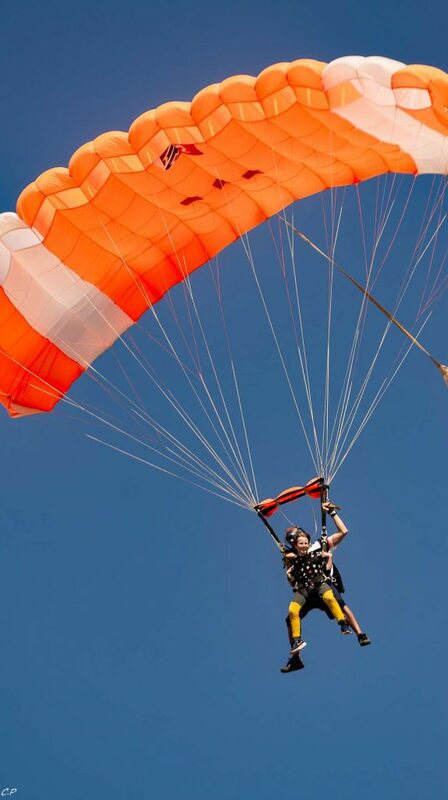 The Skydive Jeffreys bay crew is extremely professional and comes highly recommended. 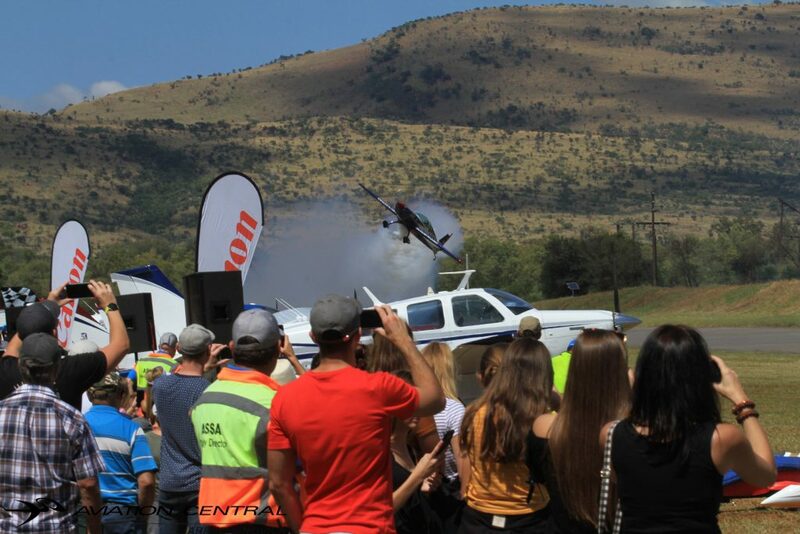 entertained the crowds with their “daredevil” tricks and jumps. 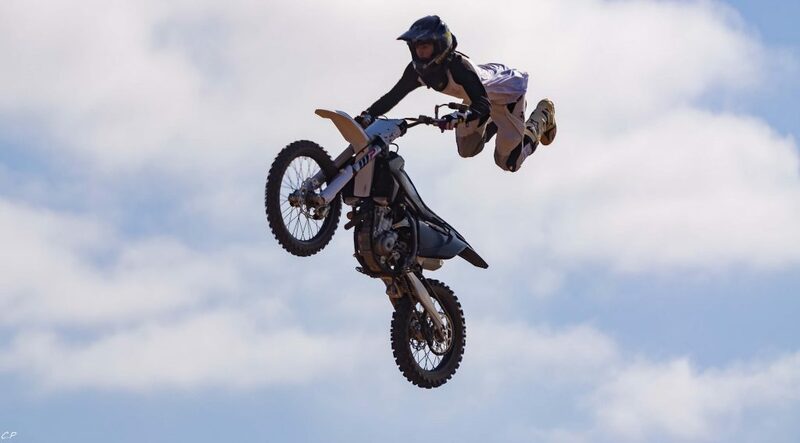 Spurred on by the crowds these motocross type rides gave the crowd real bang for their buck. 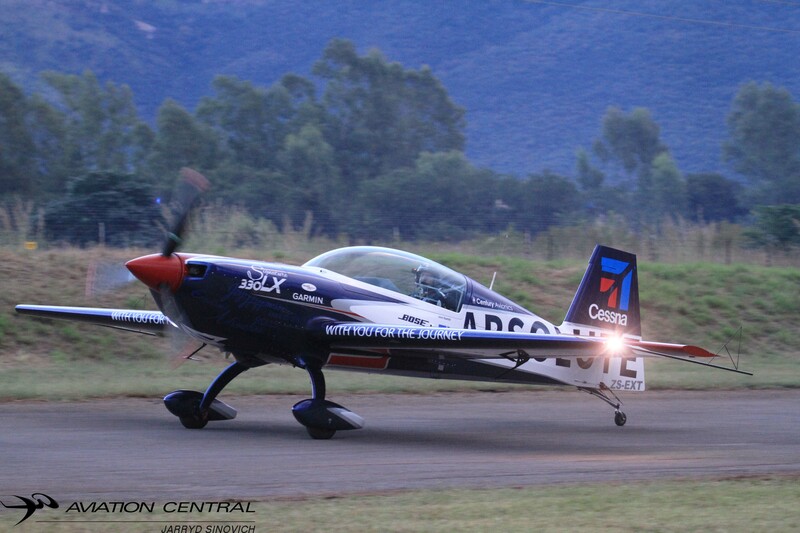 not be performed, Patrick Davidson in his Red Bull SU-31. 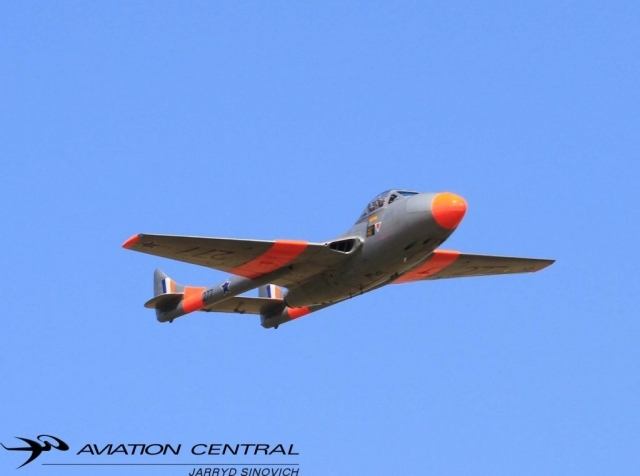 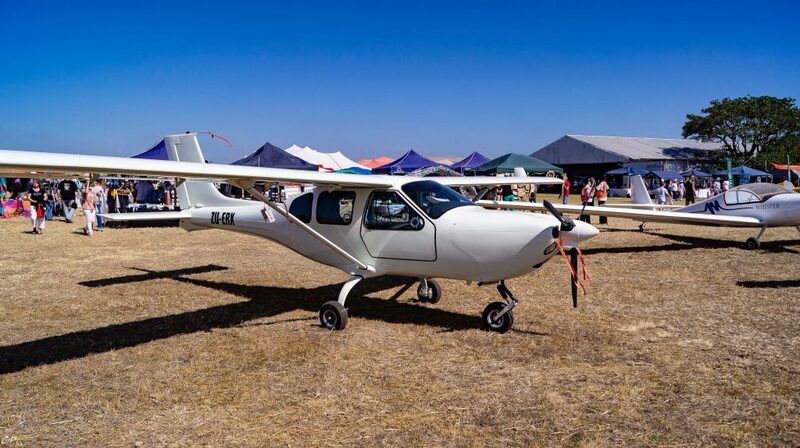 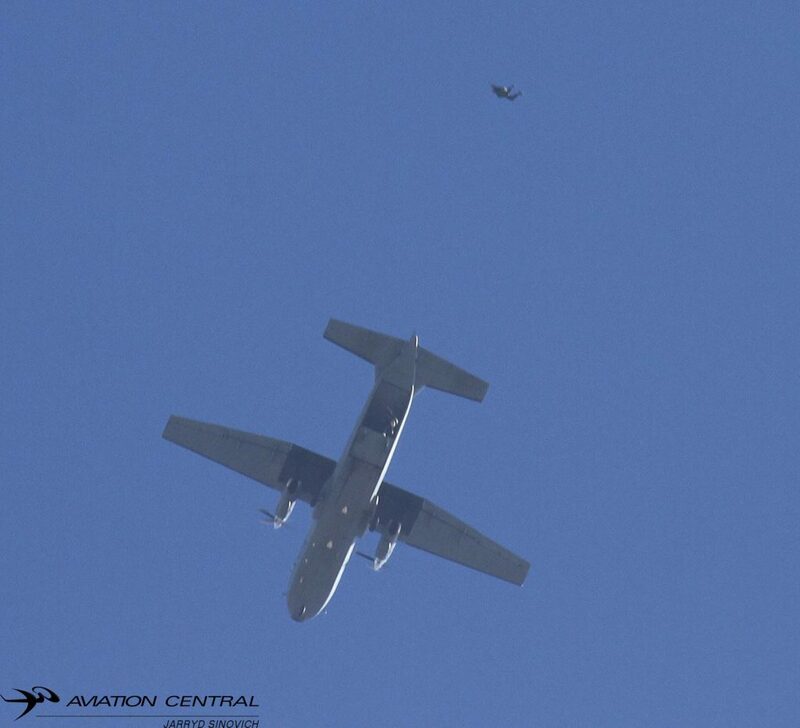 I am convinced that Patrick will most definitely make up for this years absence at next year’s BLG Wings & Wheels Festival as he is one of the crowd favourites at this event. 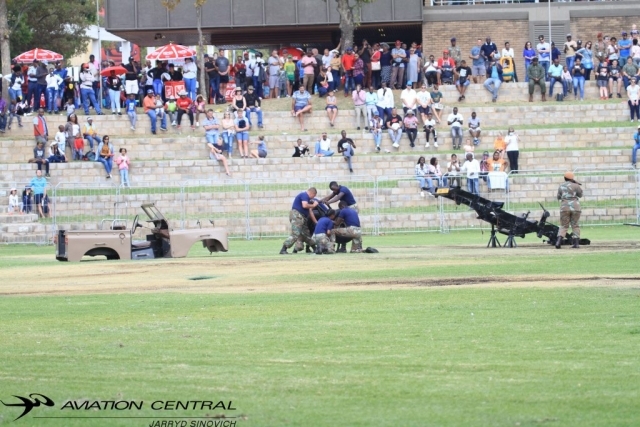 Veteran/ Smart cars as well as “Trike Motorcycles” were also on display, and visitors as well as petrol heads could not get enough from this display. 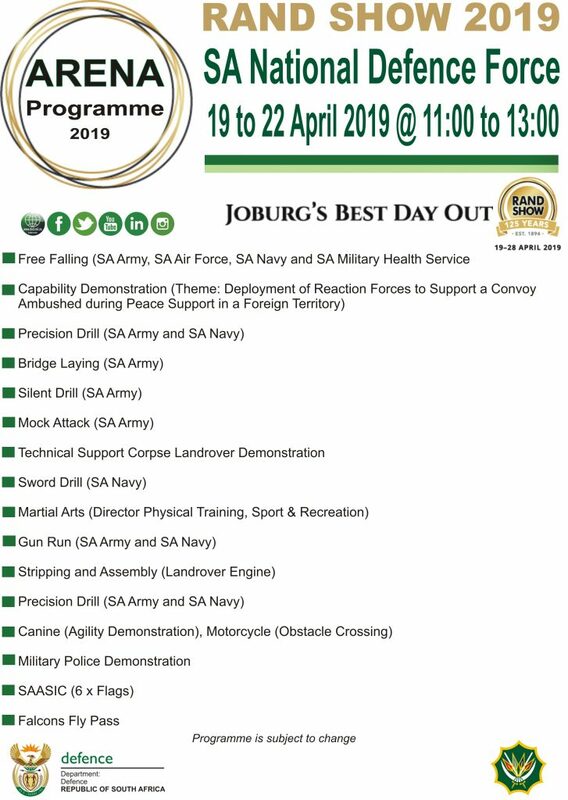 spectacular and we are looking forward to the 2020 edition of this Festival. The Coves Fly-Inn estate which is situated on the western shore of Hartbeespoort Dam west of Pretoria. 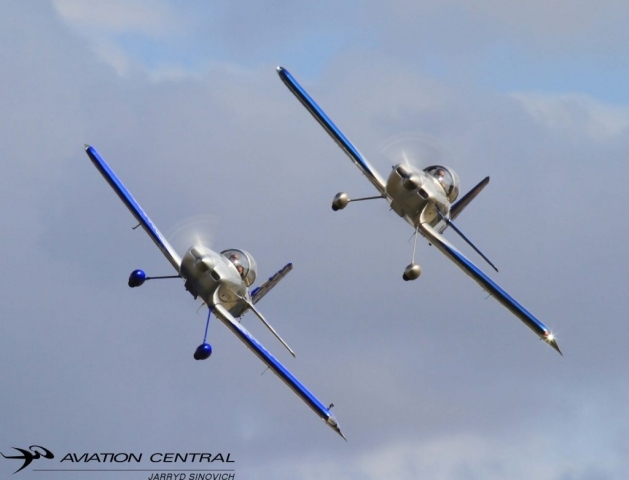 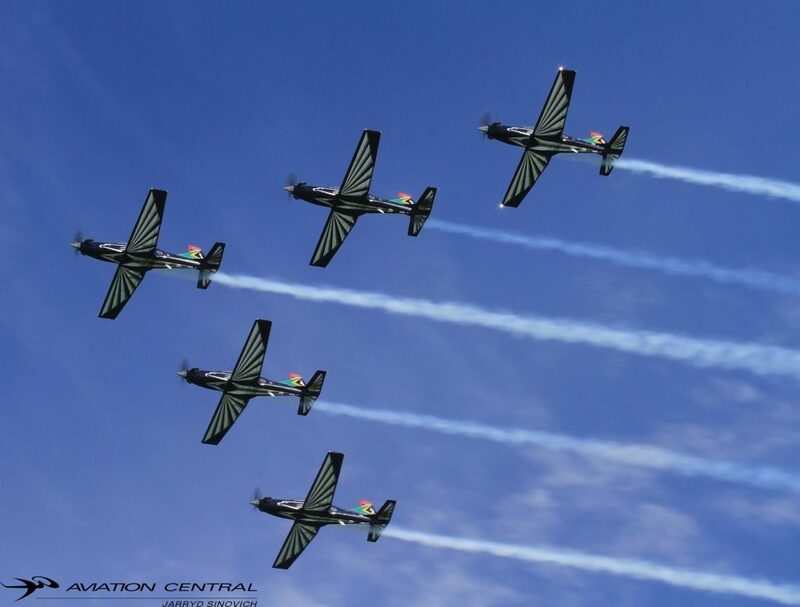 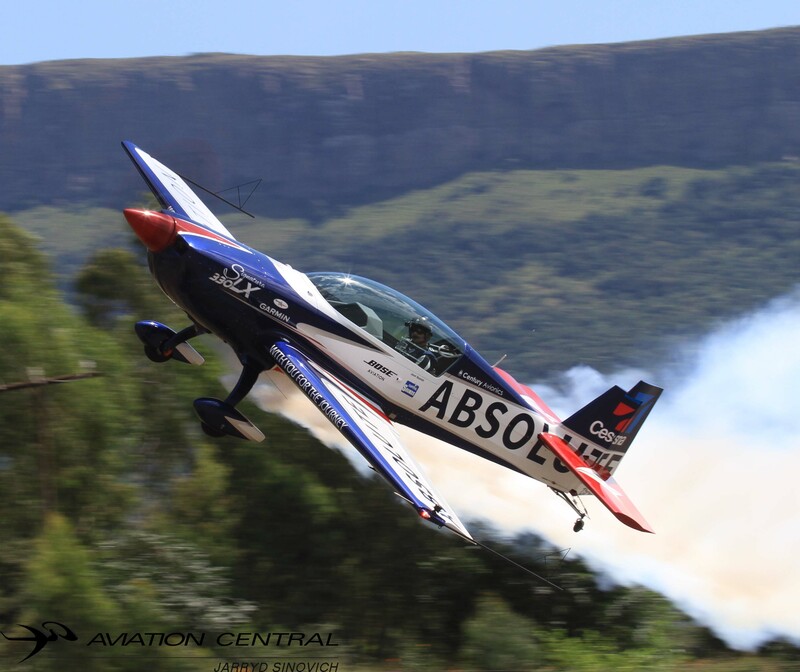 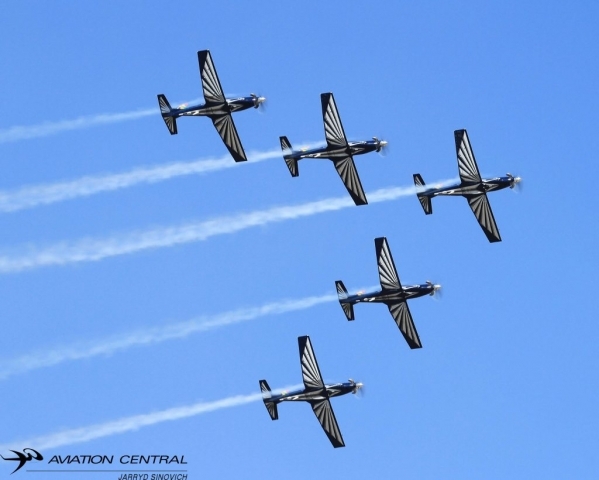 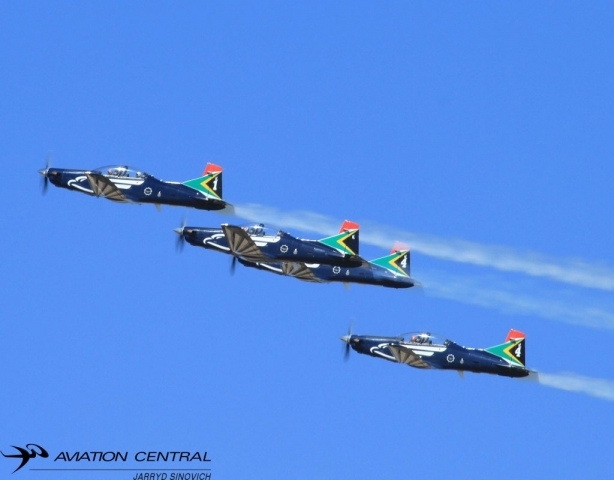 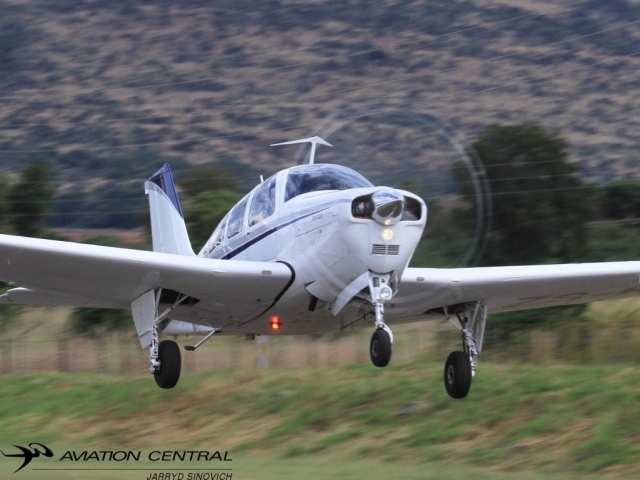 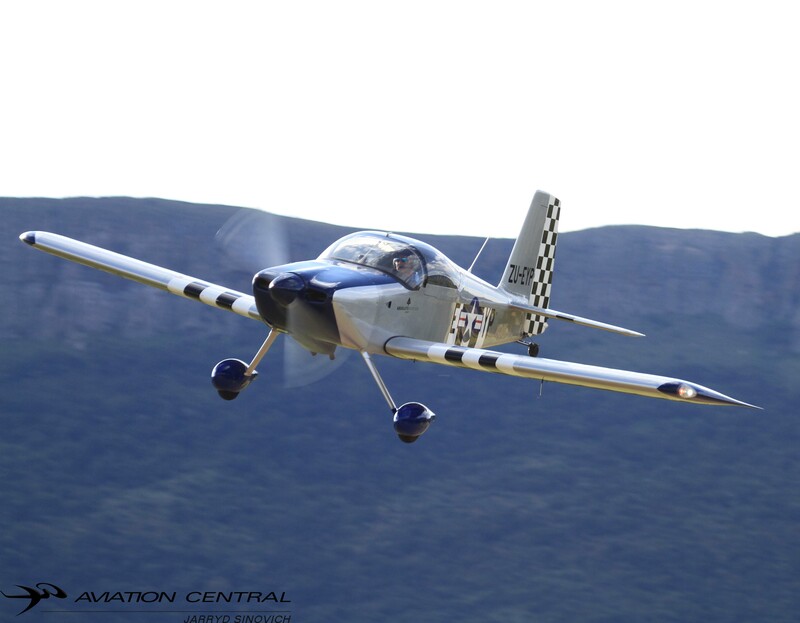 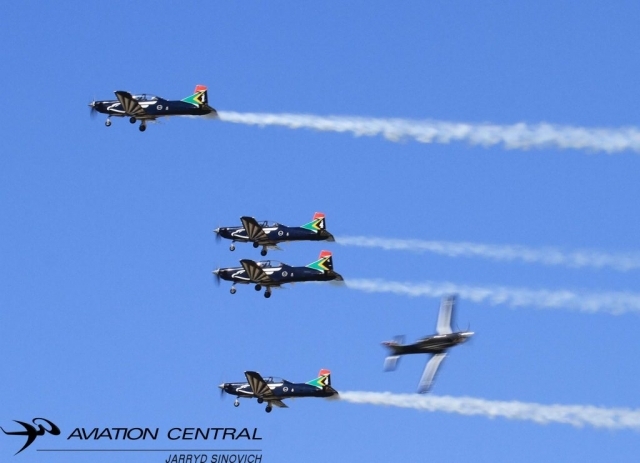 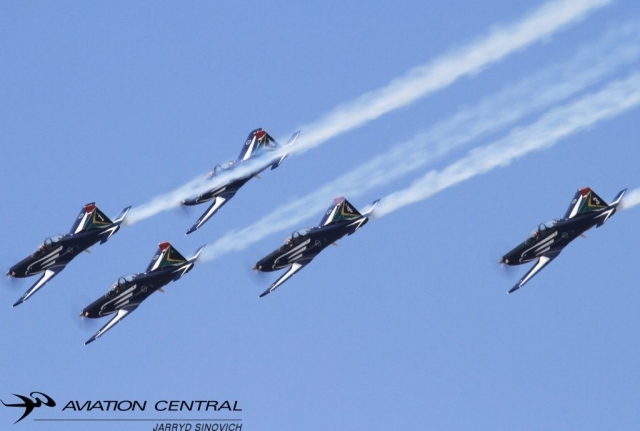 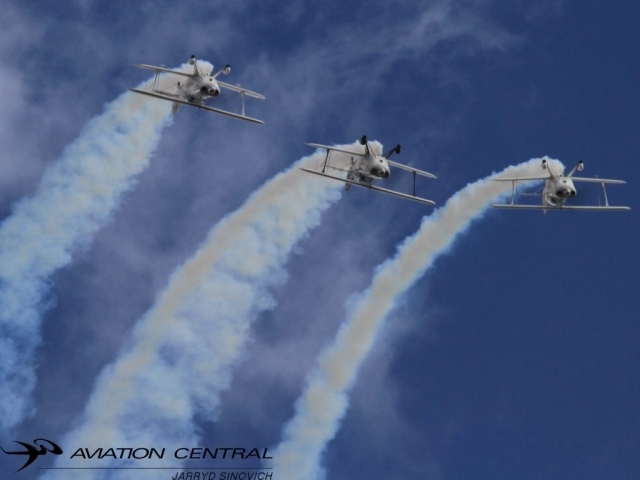 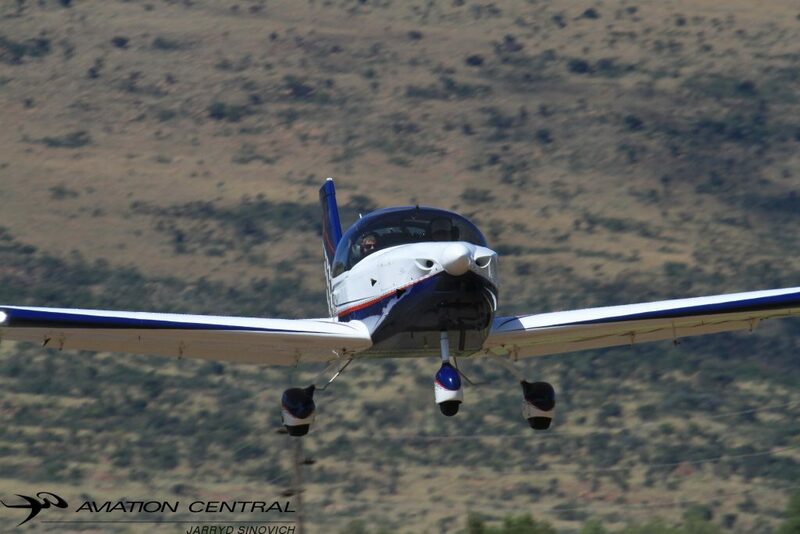 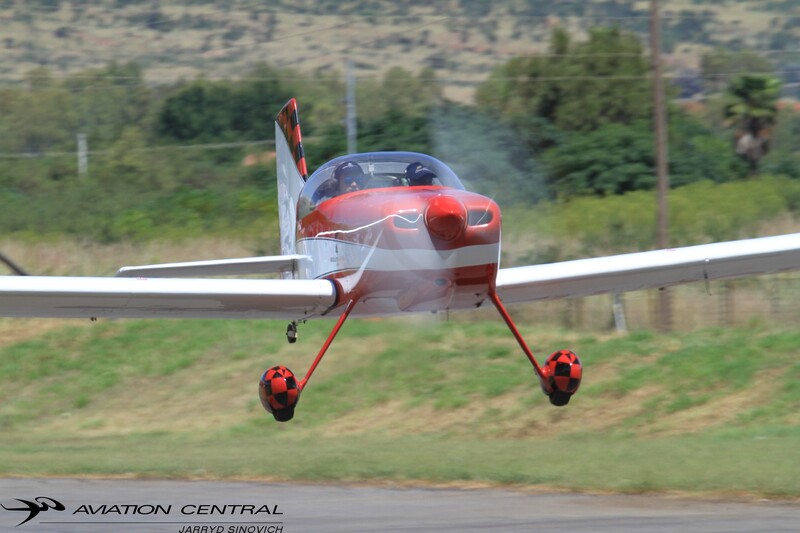 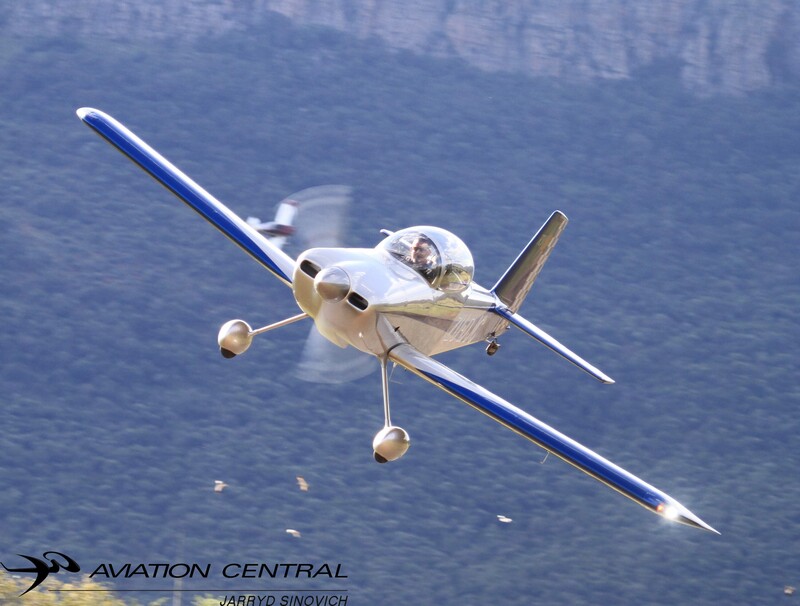 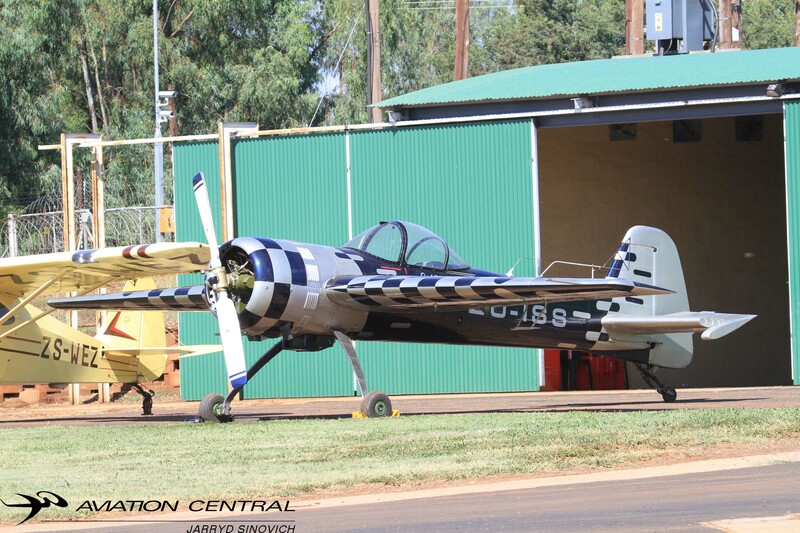 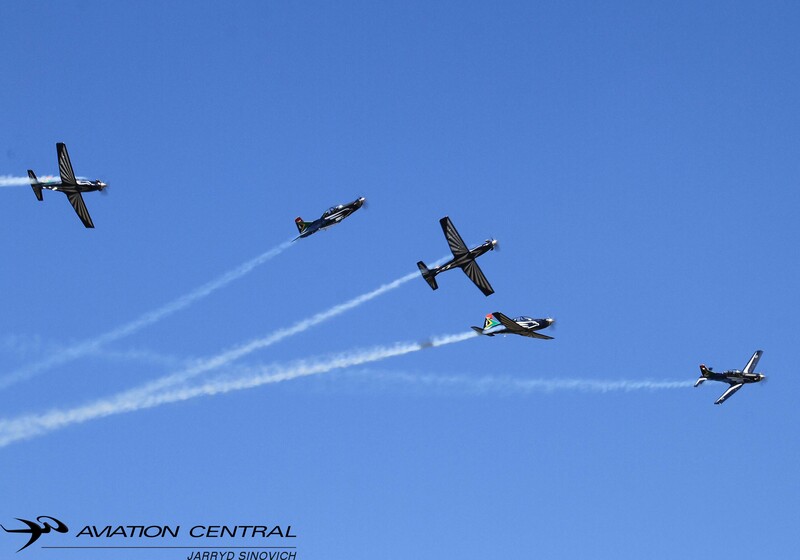 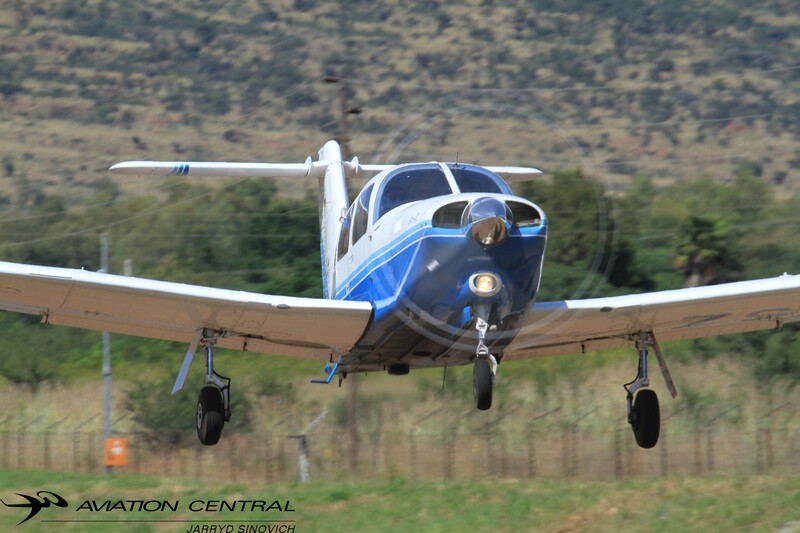 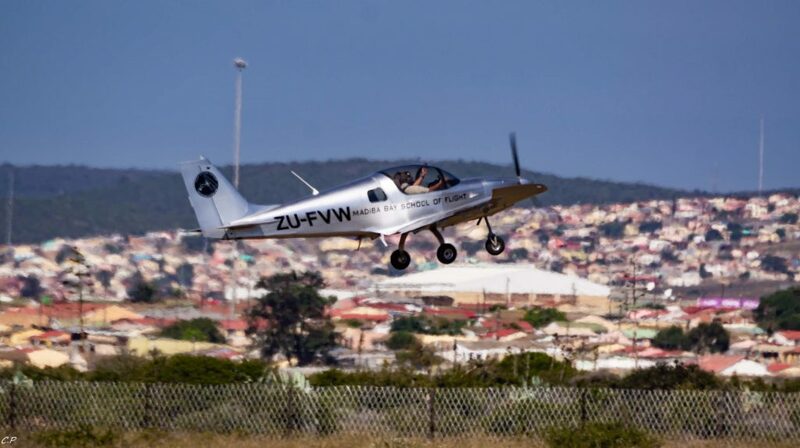 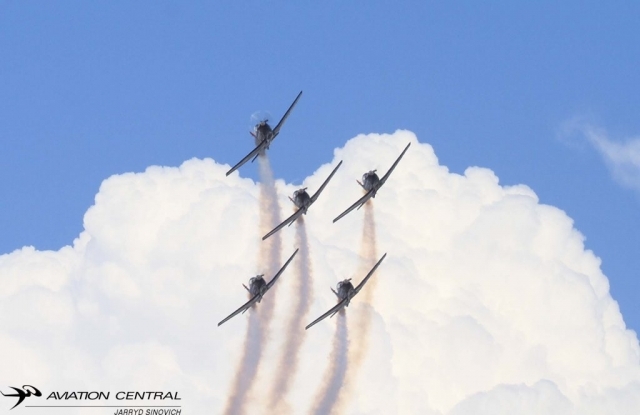 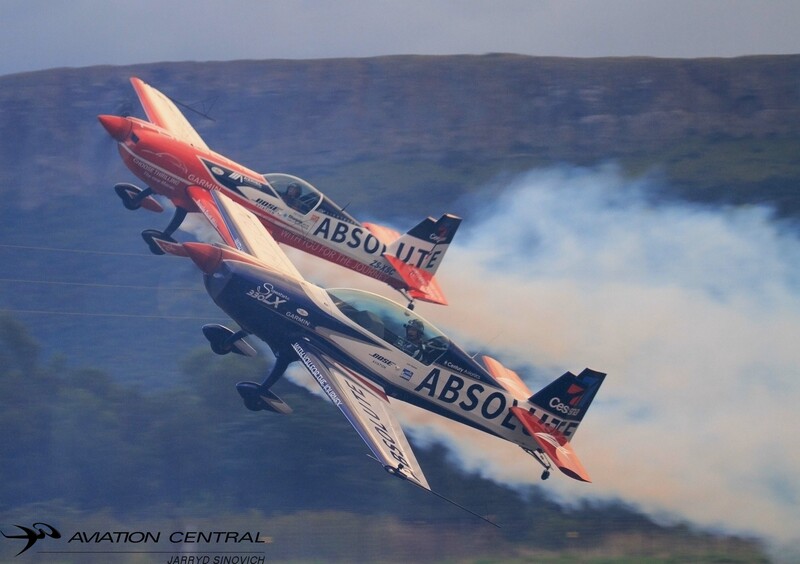 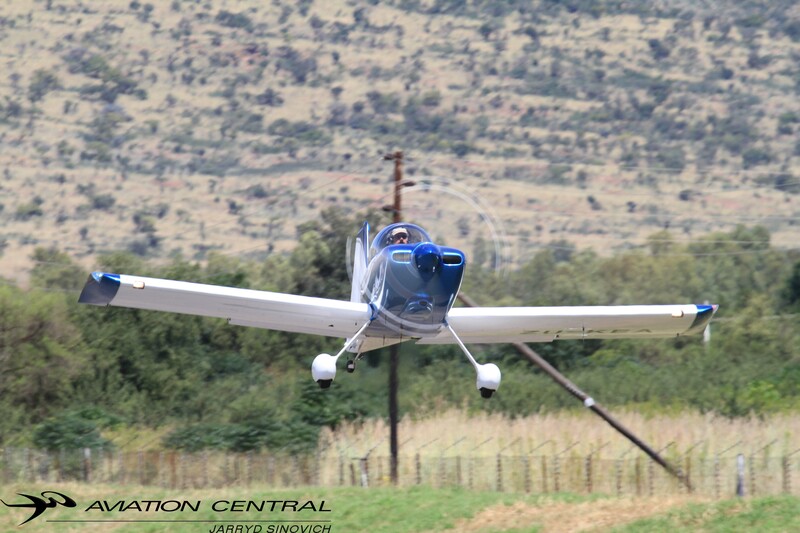 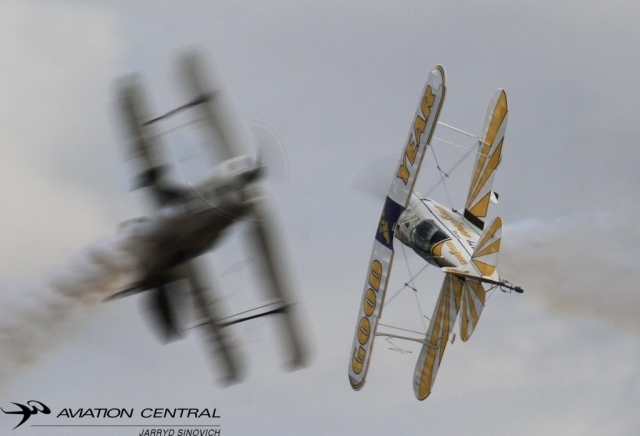 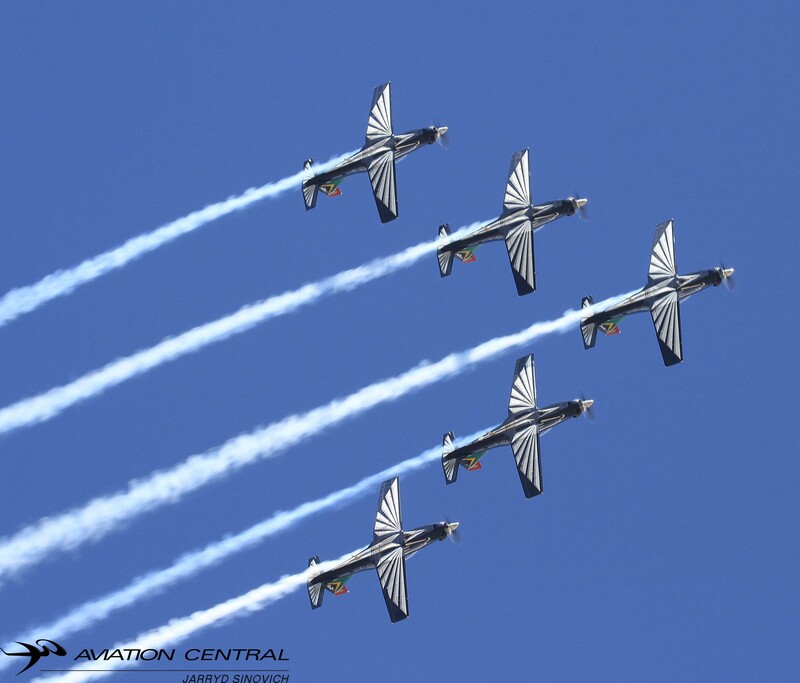 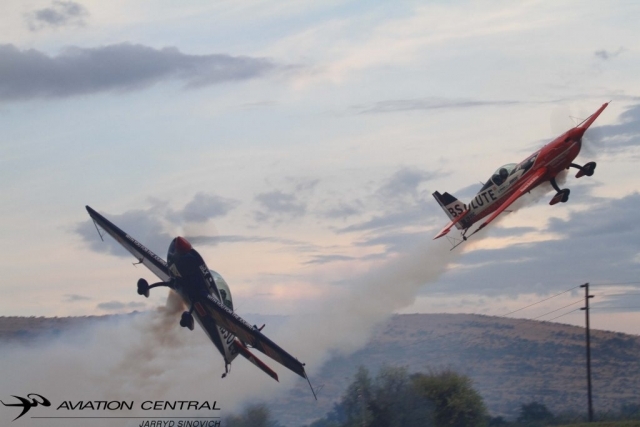 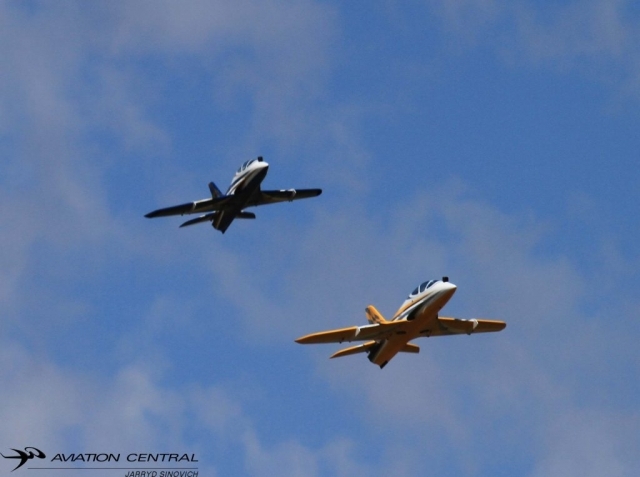 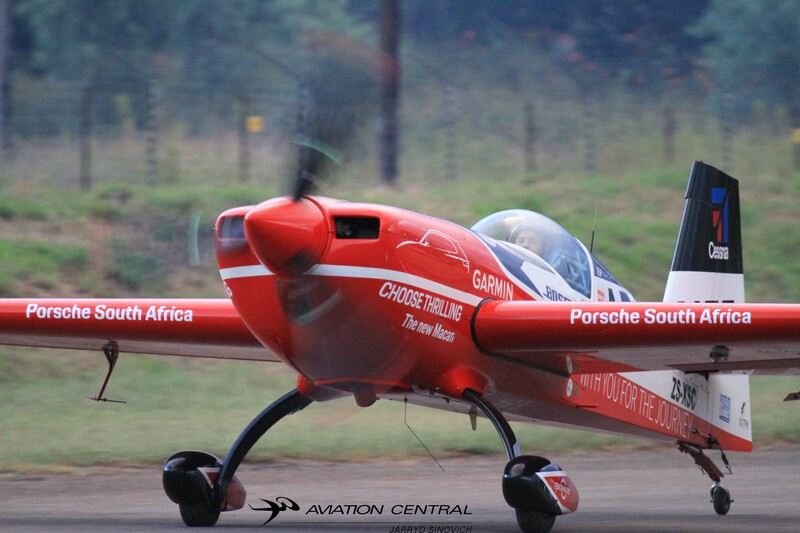 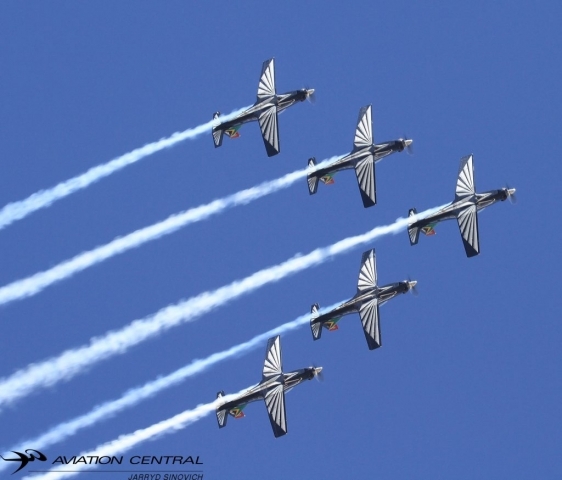 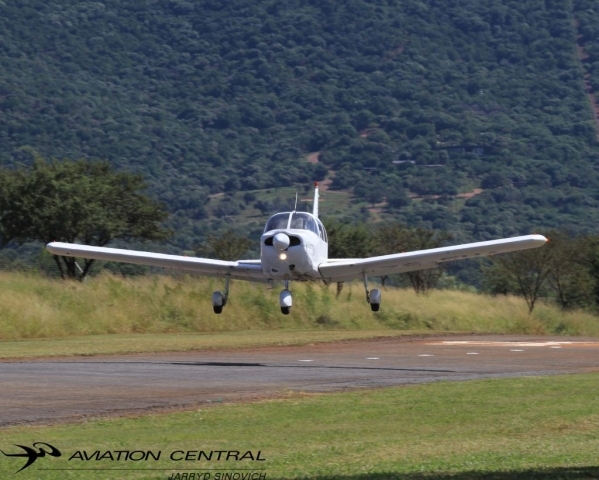 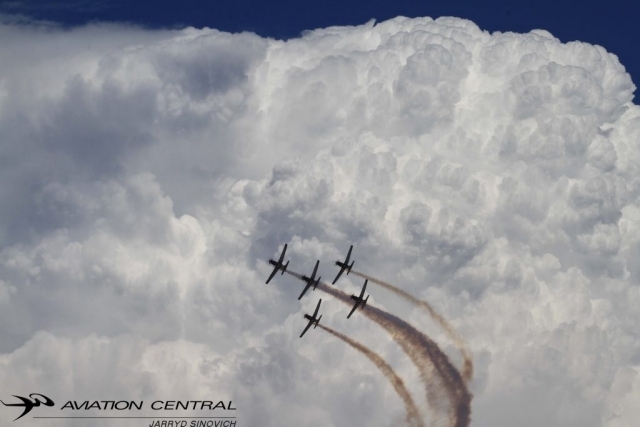 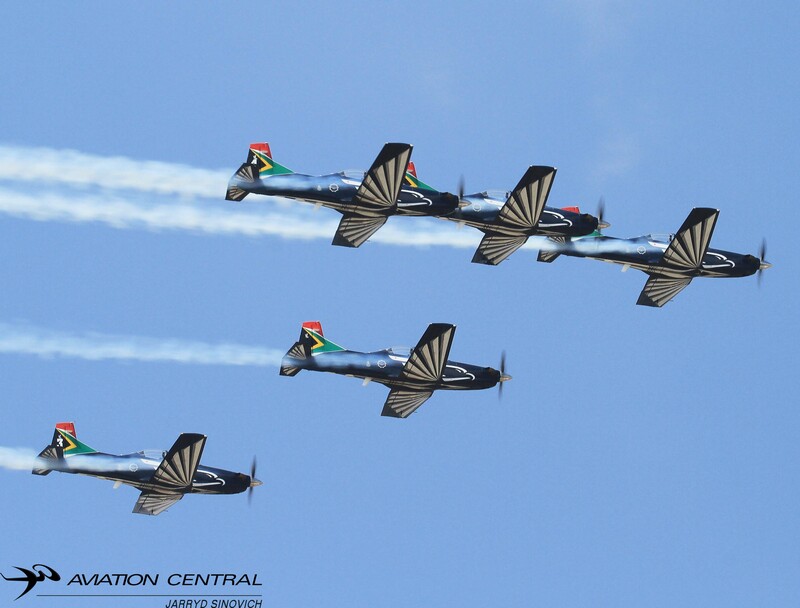 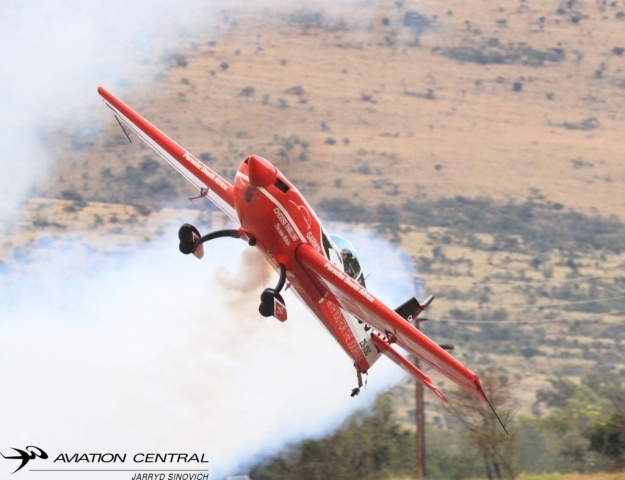 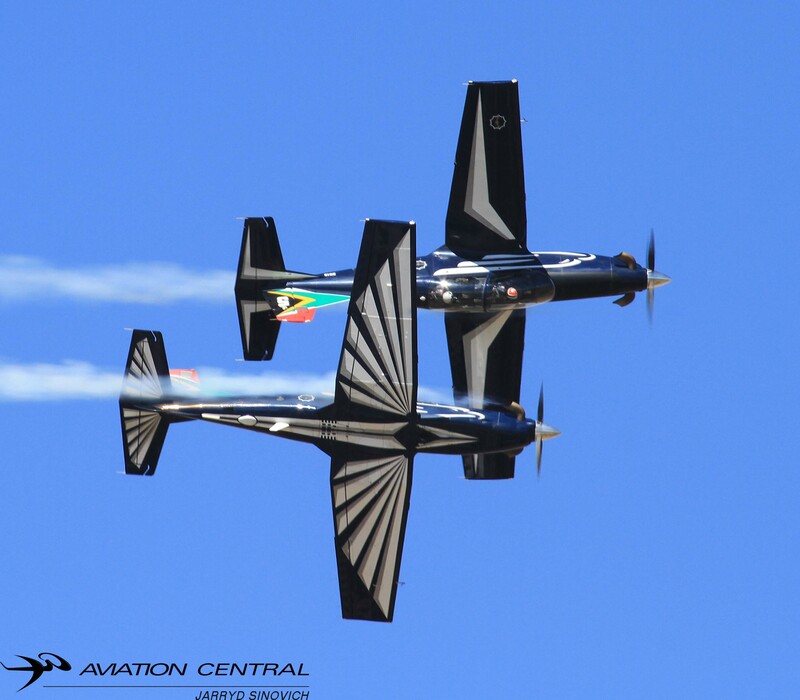 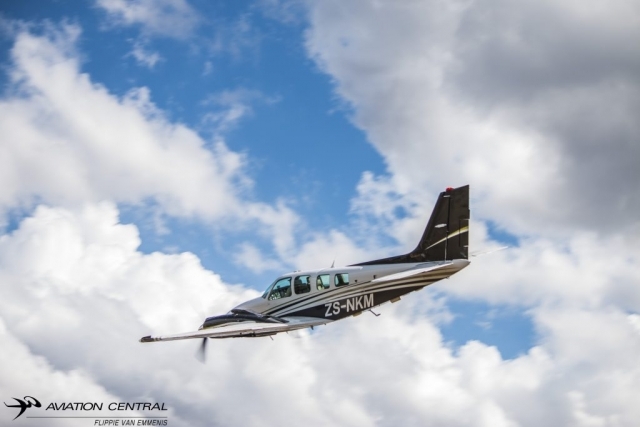 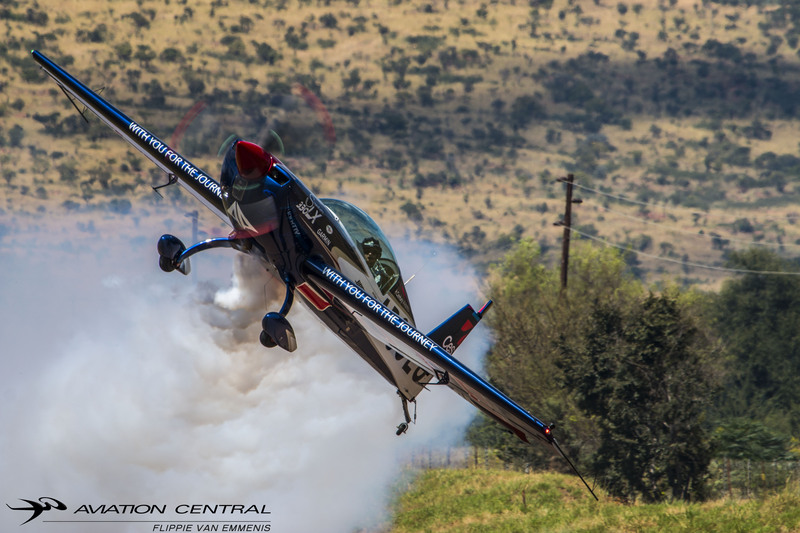 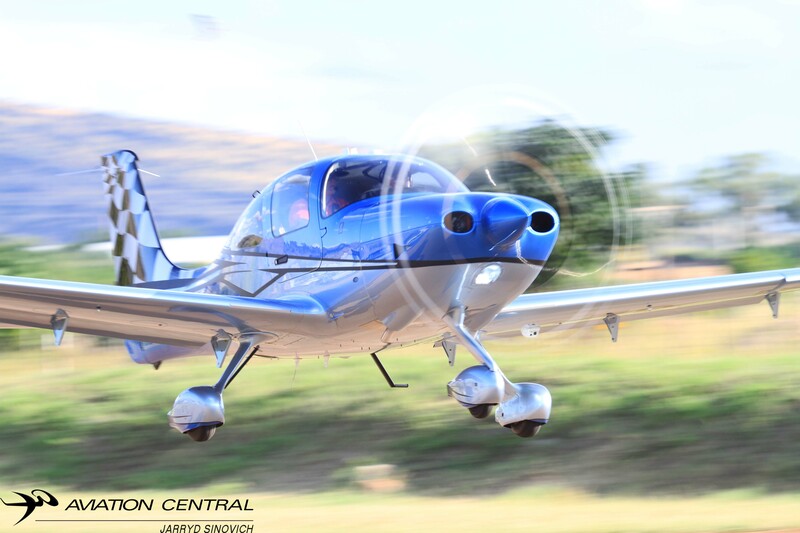 The Coves is home to many airshow pilots on the South African Airshow circuit. 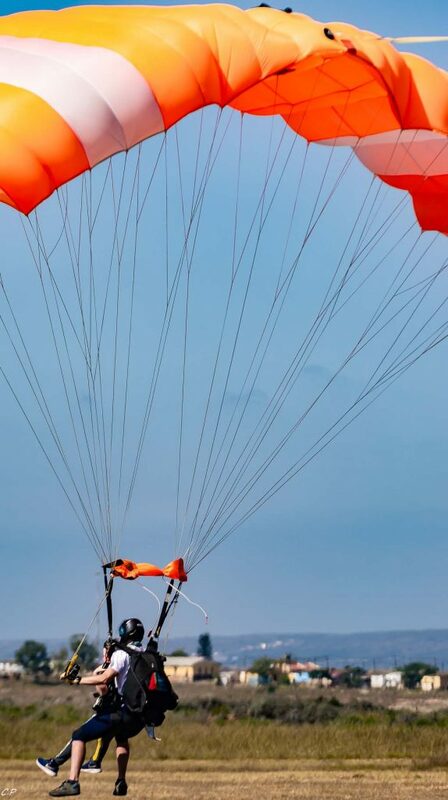 We see now why they have chosen the Coves to be their home! What turned out to be a miserable weekend as the weather gods predicted rainy and cold conditions, turned out to be a fantastic day with lots of sunshine a scattered clouds throughout the day. 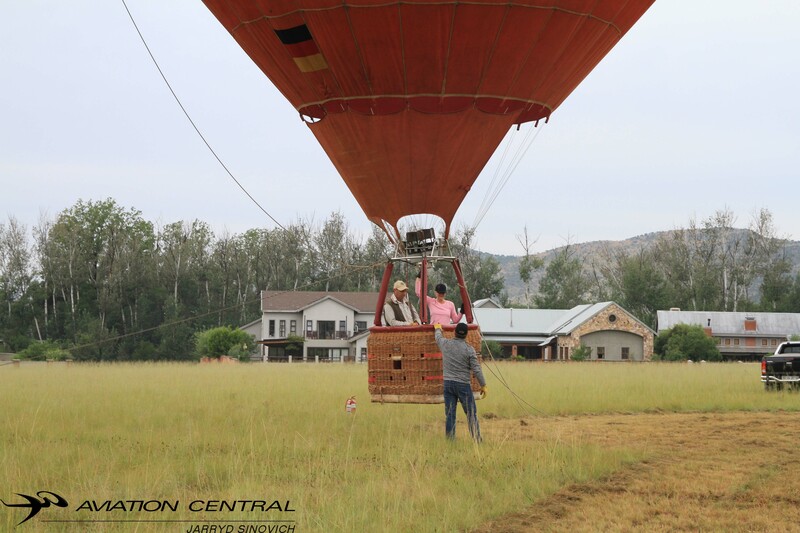 Hot Air Balloon giving some of the residents a free ride. 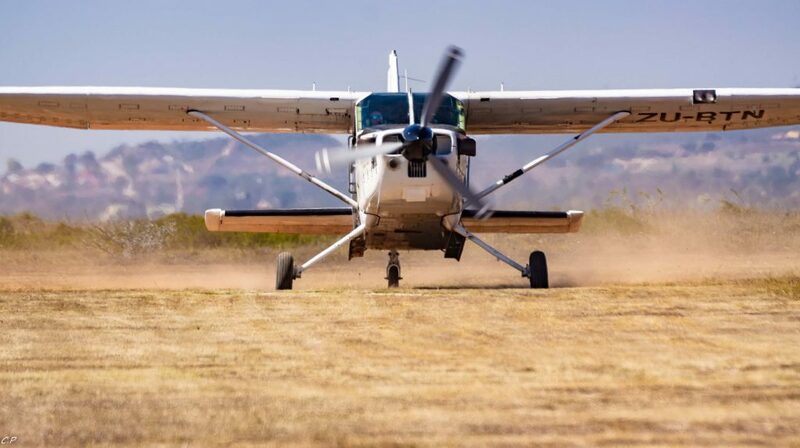 Arrival at the Coves on Saturday the 6th April 2019,gate guards at the entrance of the estate were very friendly and directed us to a parking spot alongside the airfields runway. 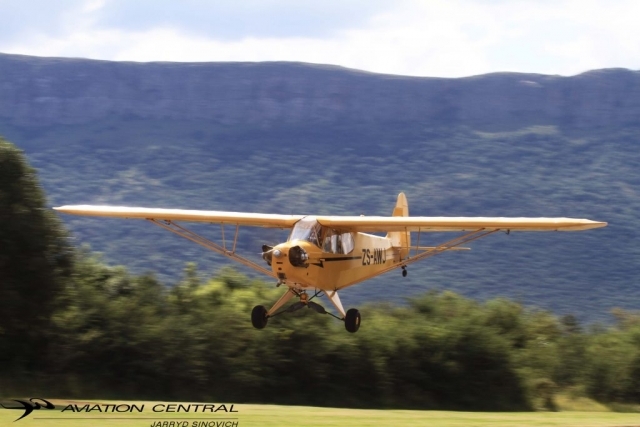 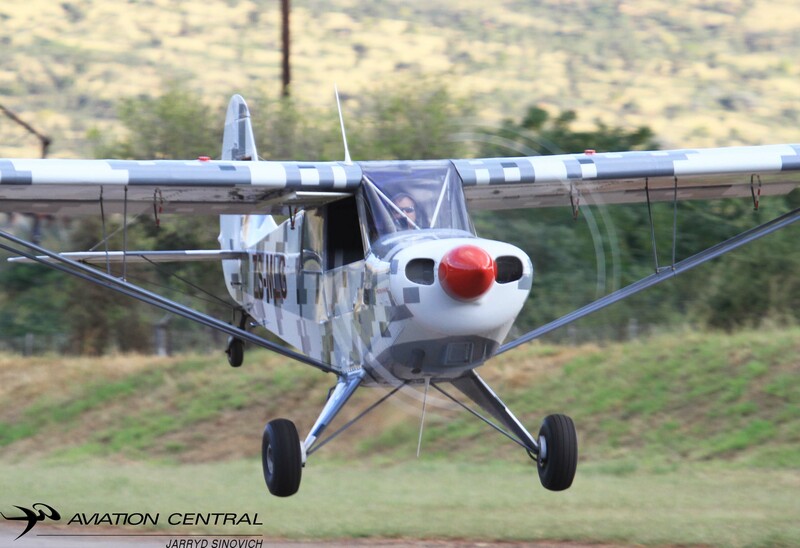 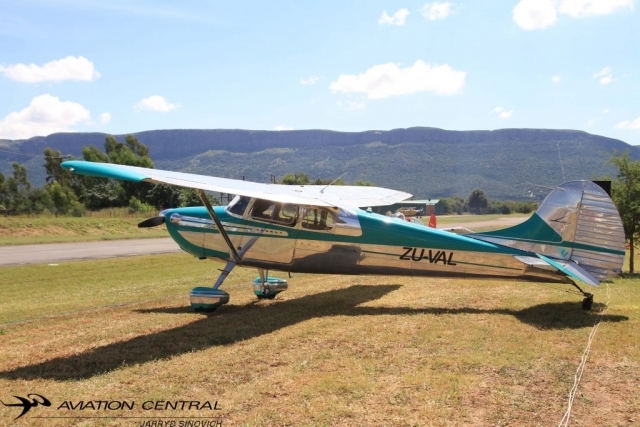 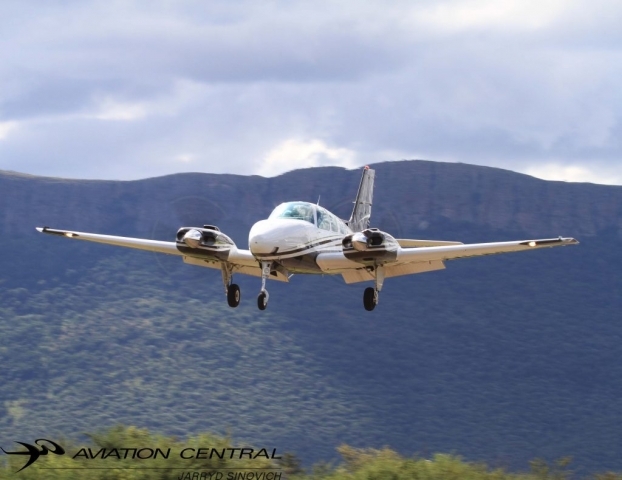 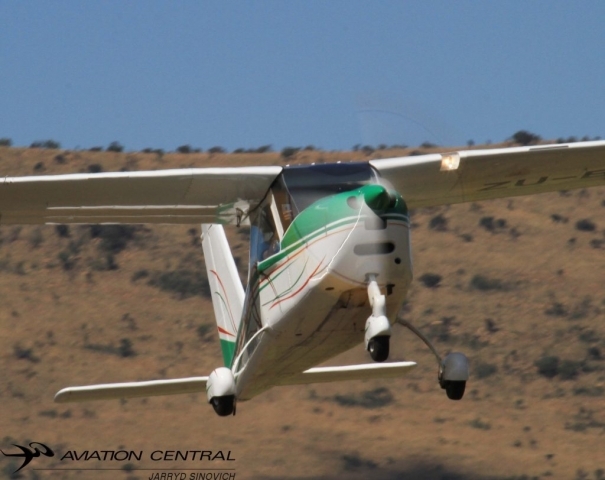 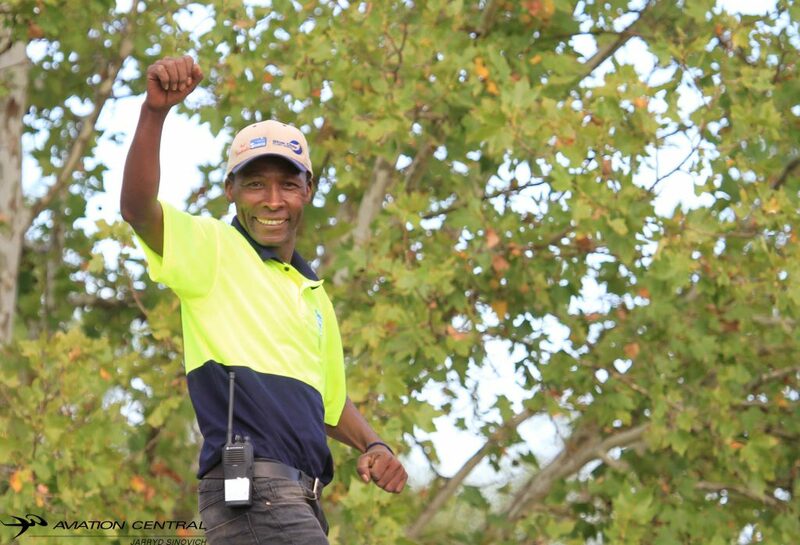 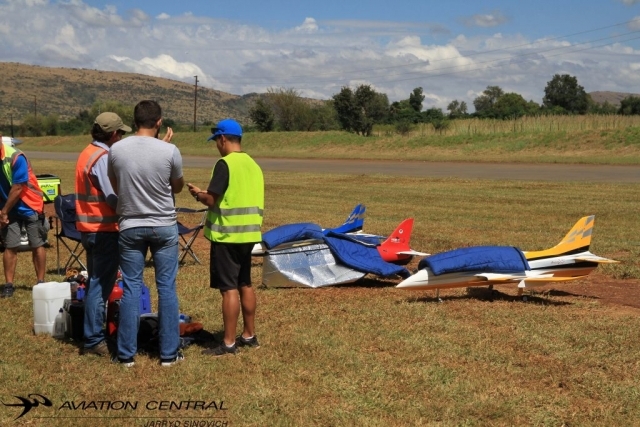 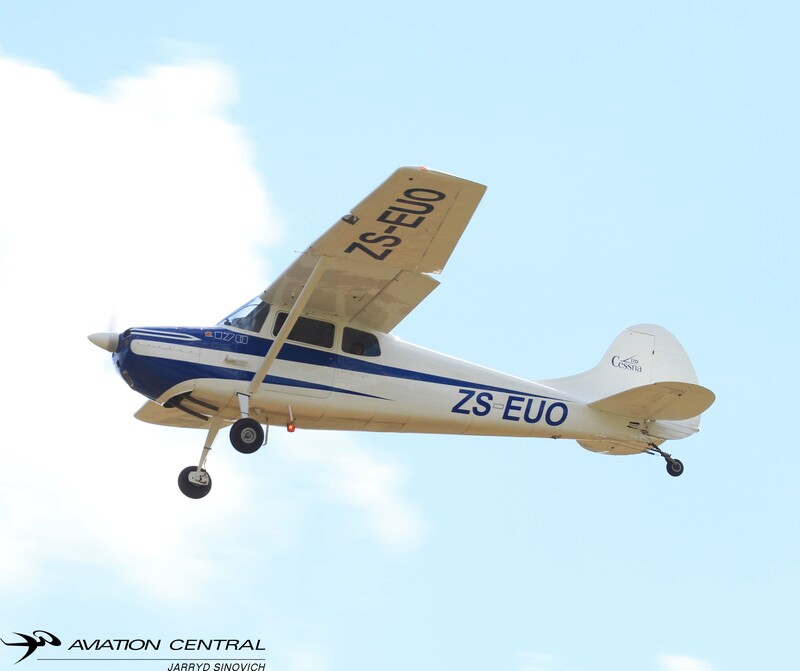 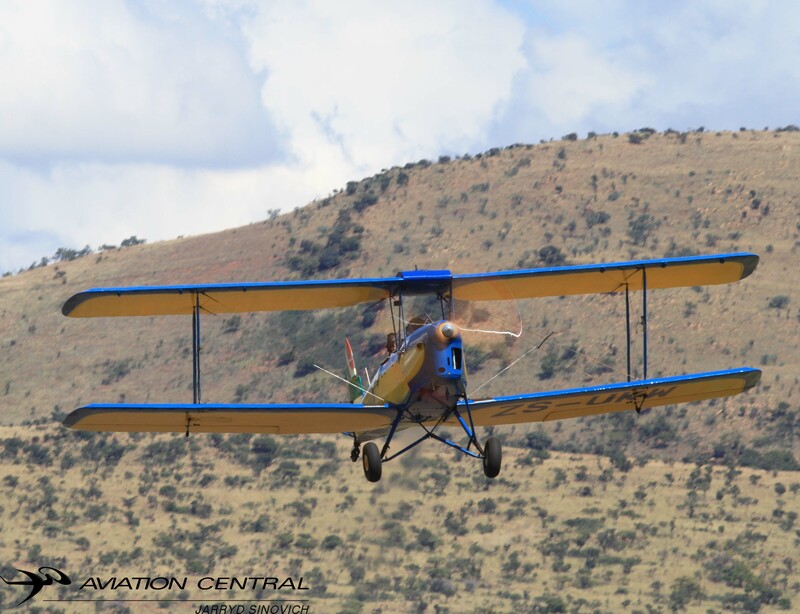 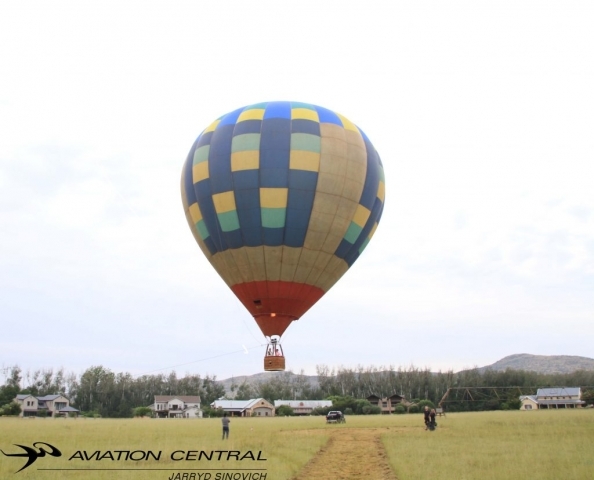 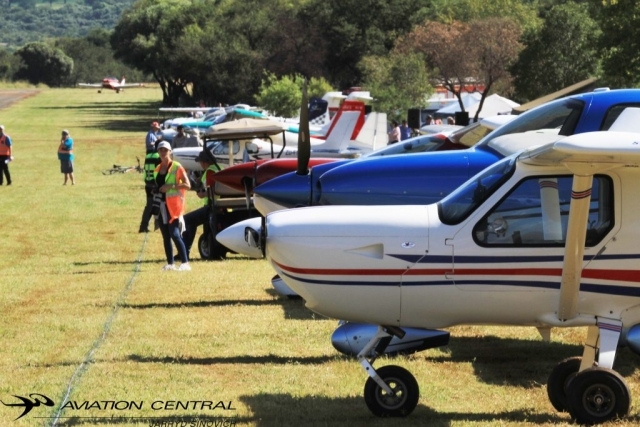 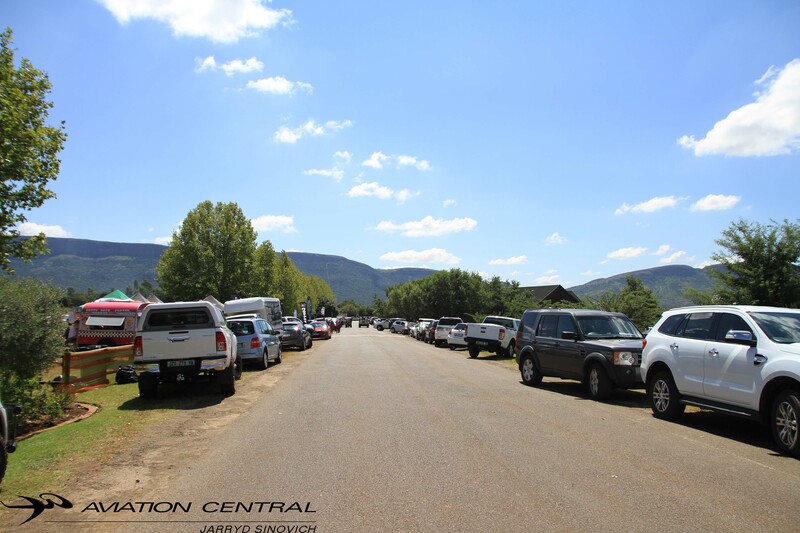 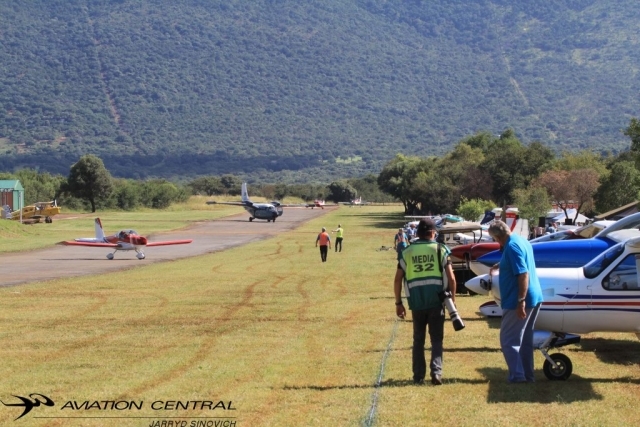 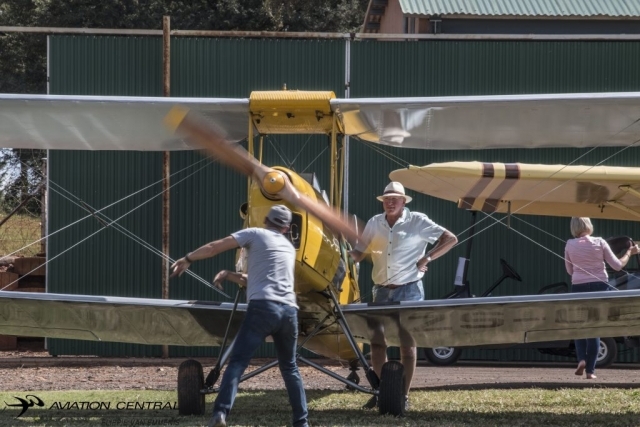 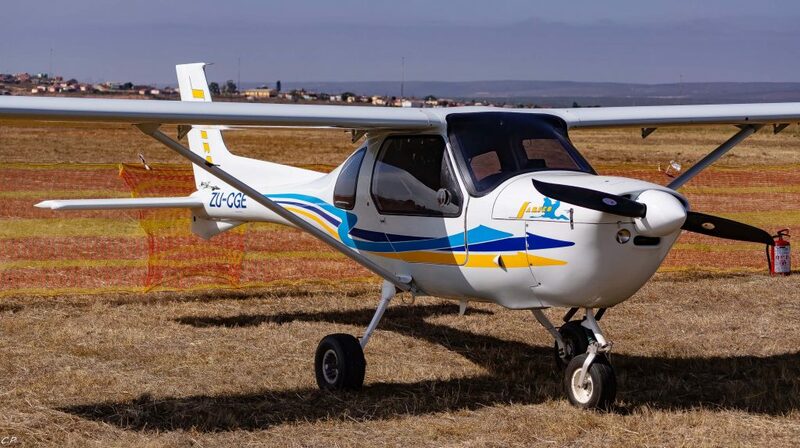 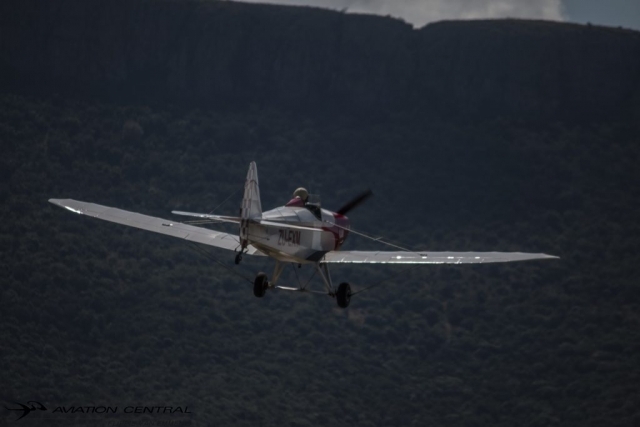 JP Fourie from National Airways Corporation (NAC) was the event boss for this years Coves Fly-inn or better known as the Coves Flying Carnival. 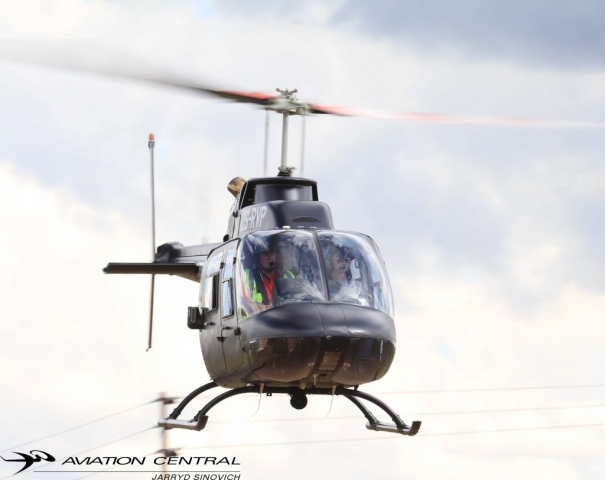 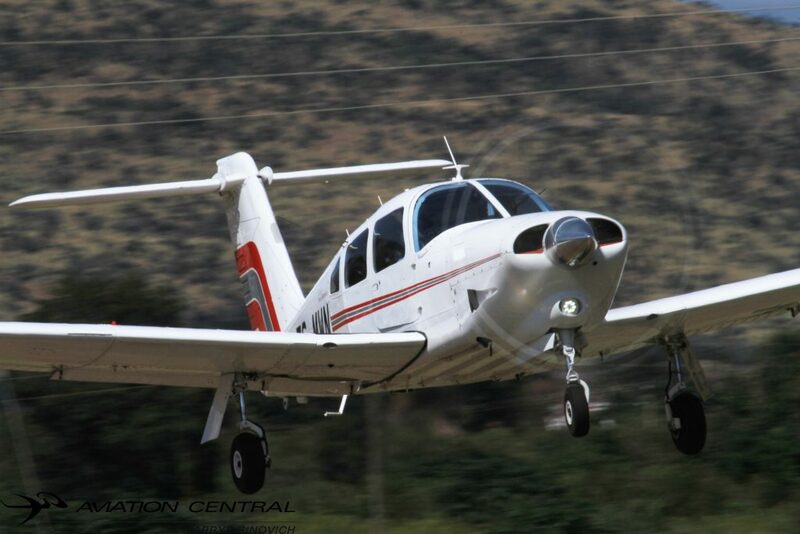 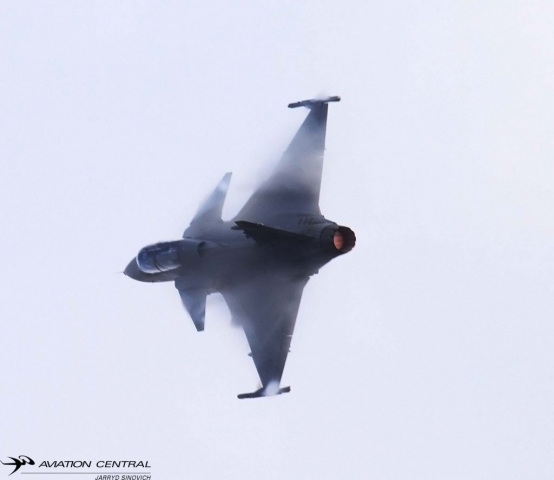 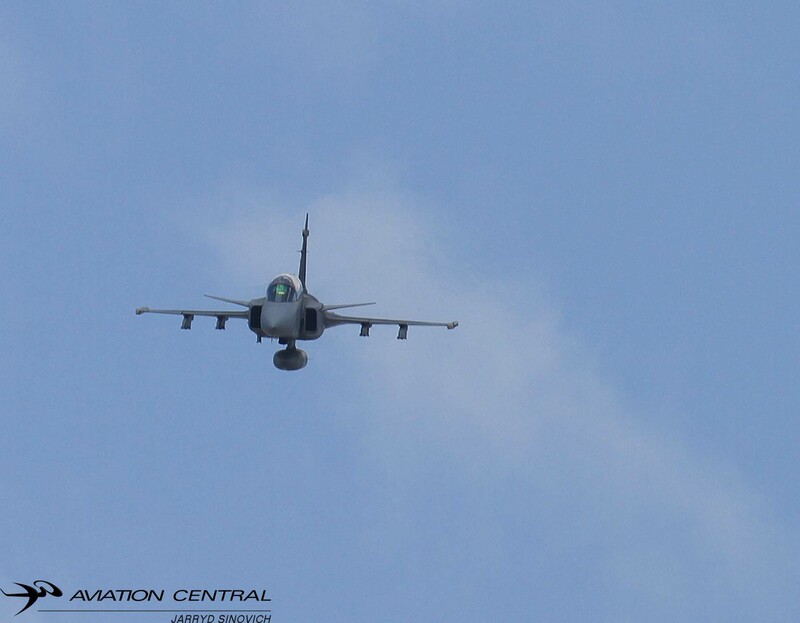 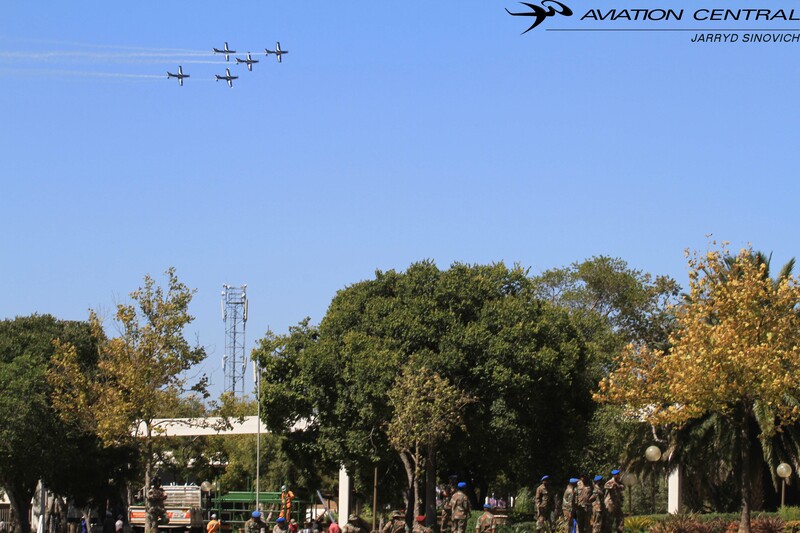 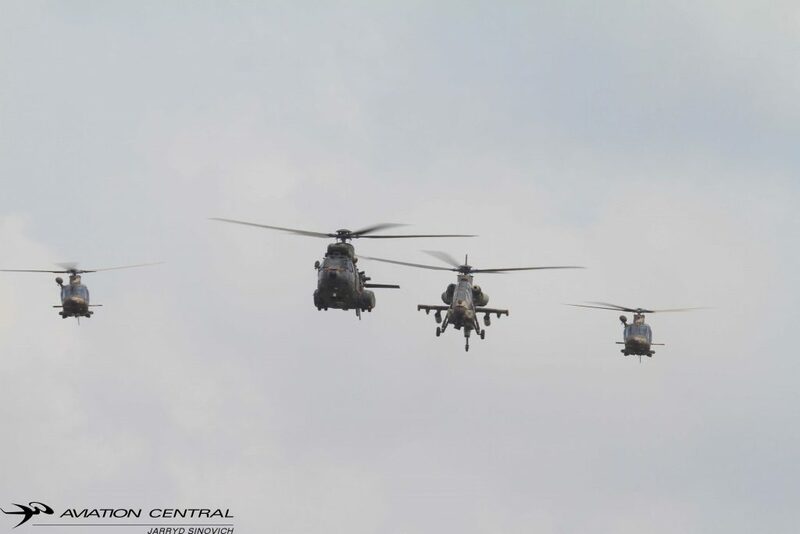 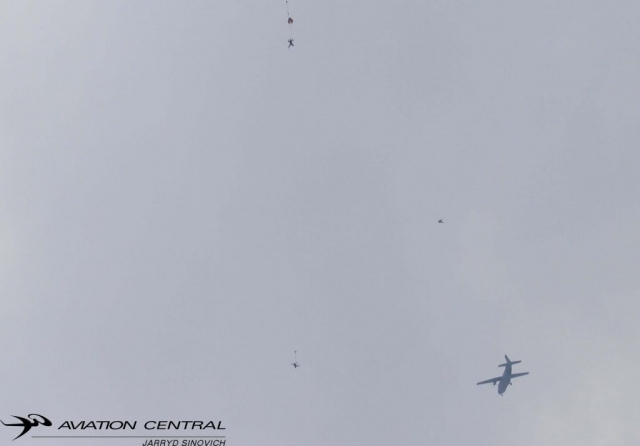 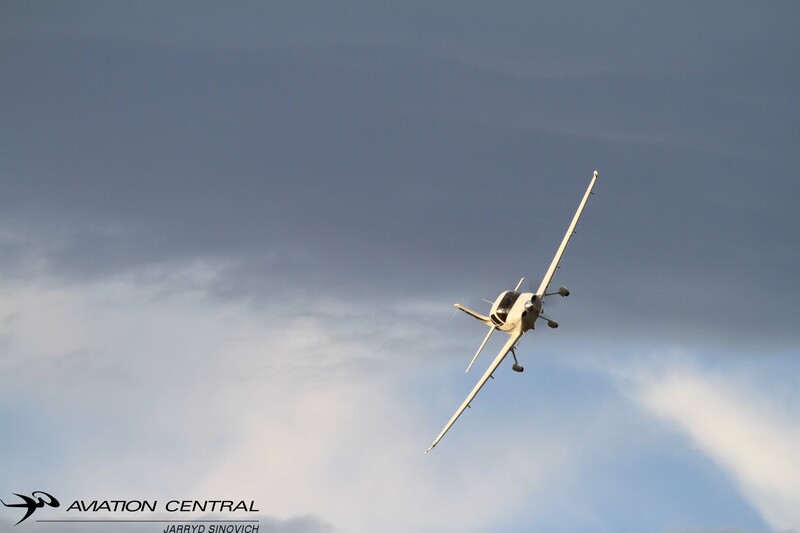 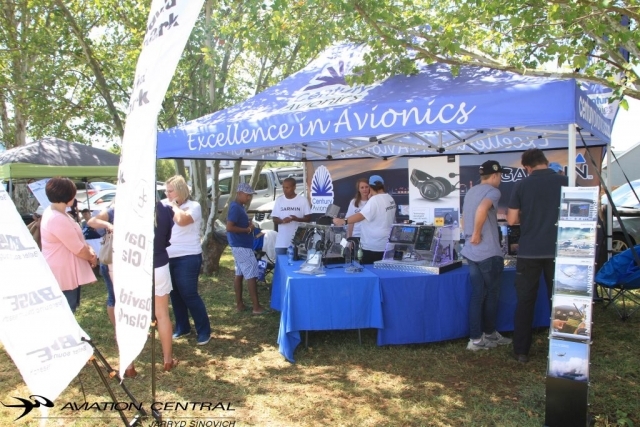 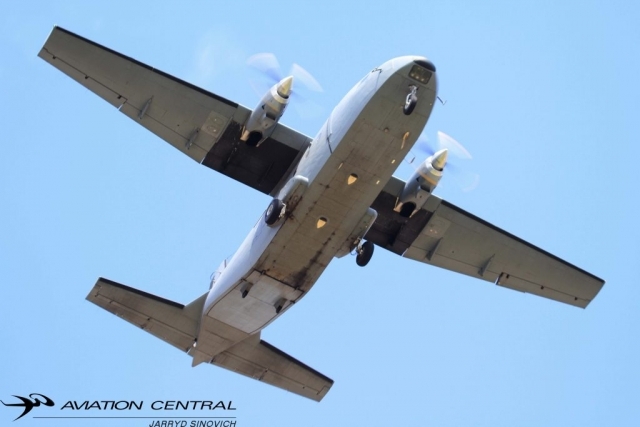 The event was for pilots flying in for the day, residents and invited guests were treated to a great day of aviation. With vintage and modern aircraft taking to the skies above the Coves. 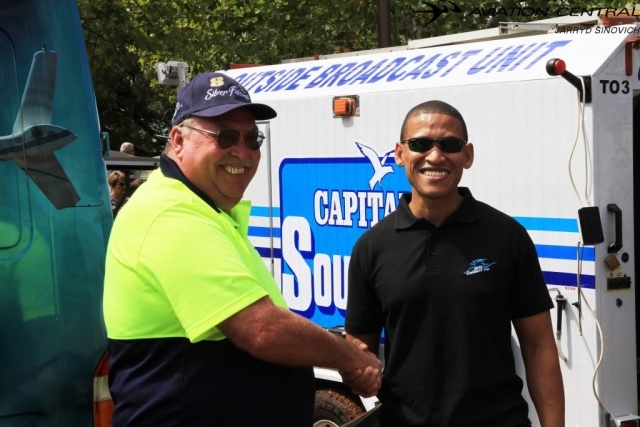 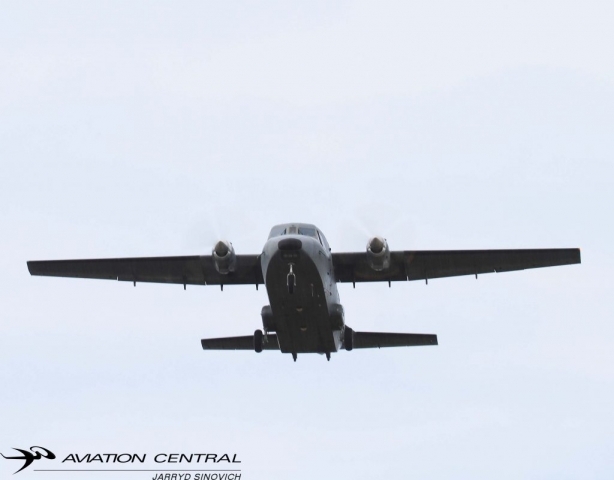 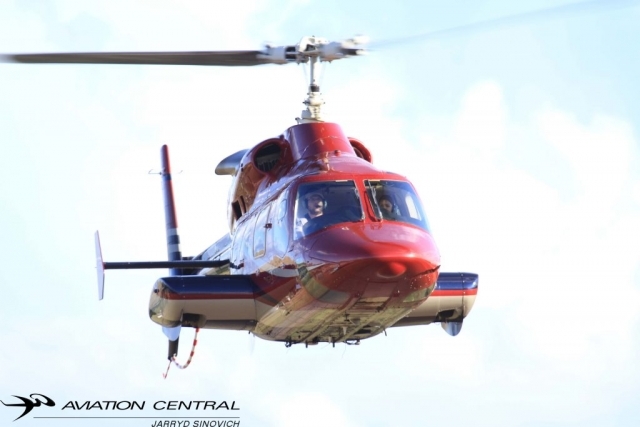 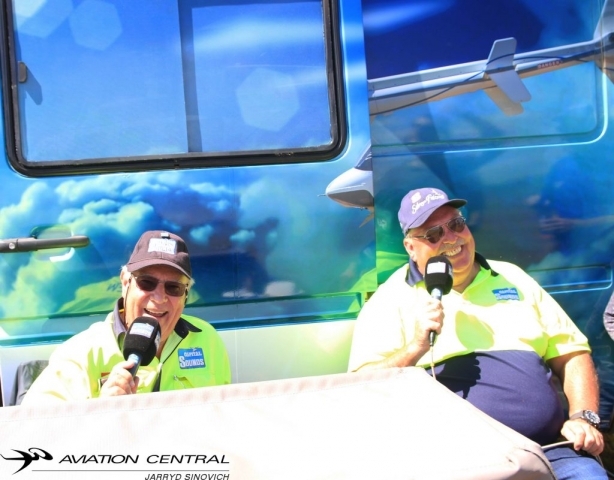 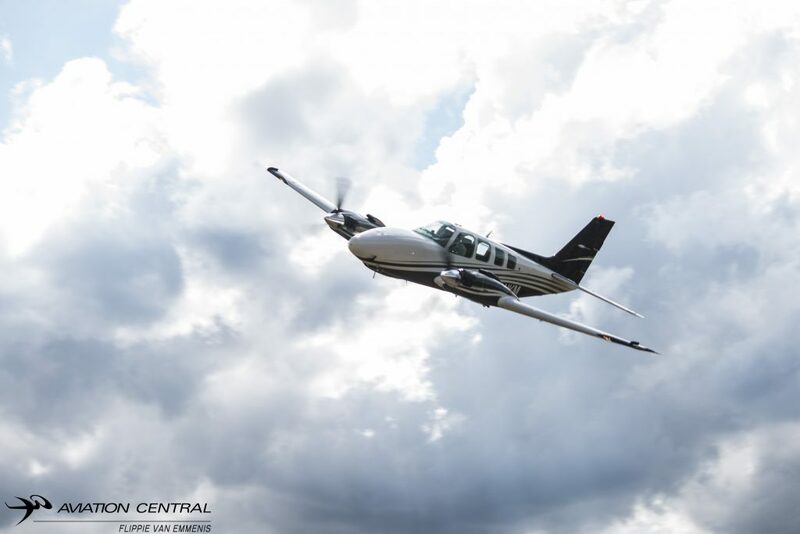 With the event being so big this year, Capital Sounds were present to give us some of their knowledge from all the aircraft that flew in for the day, Thanks to Brian Emmenis and Leon Du Plesiss for their commentary throughout the day. 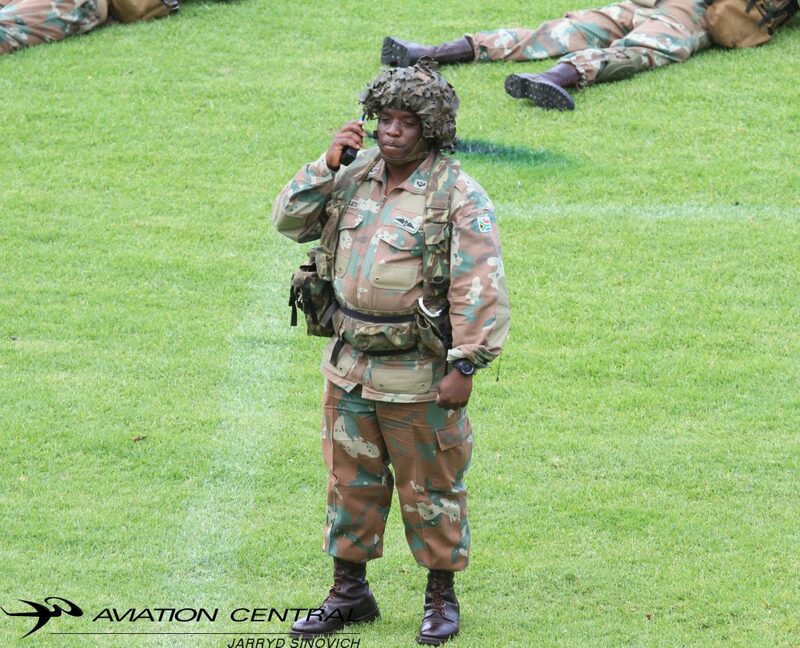 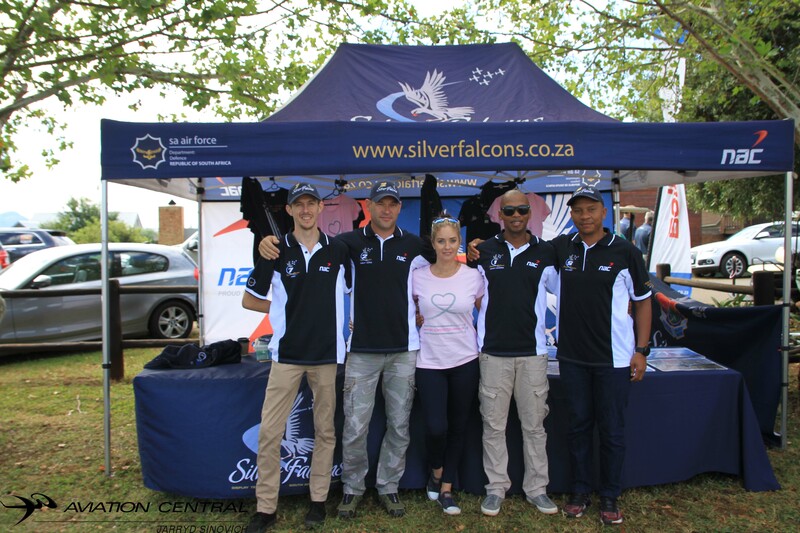 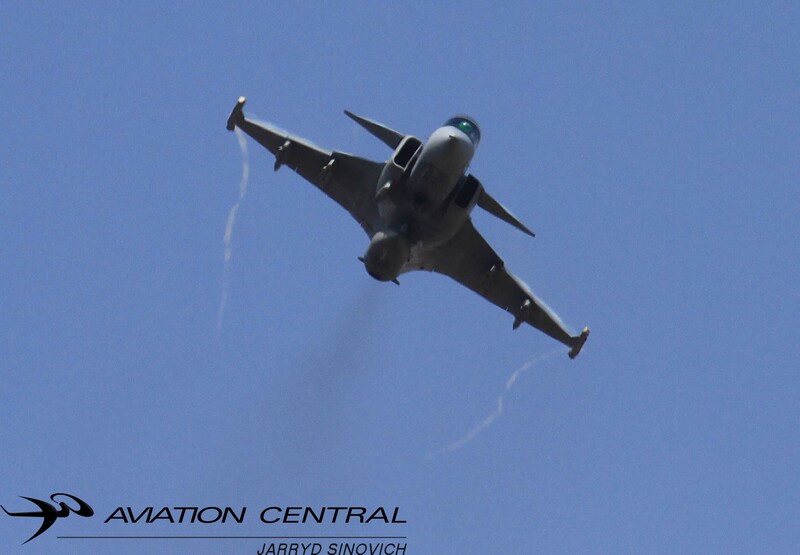 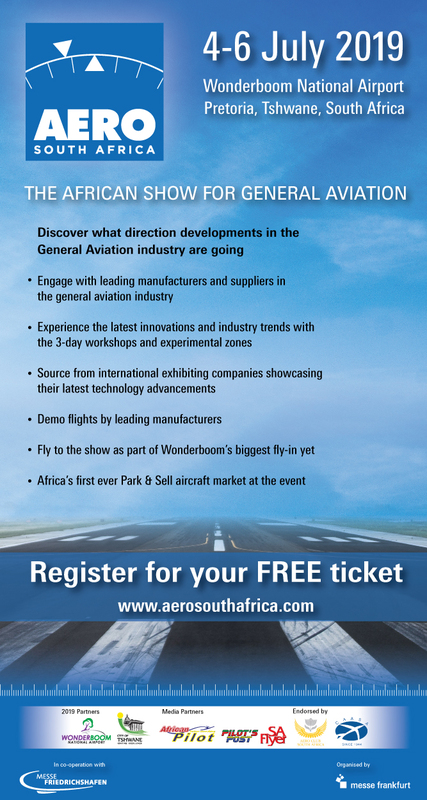 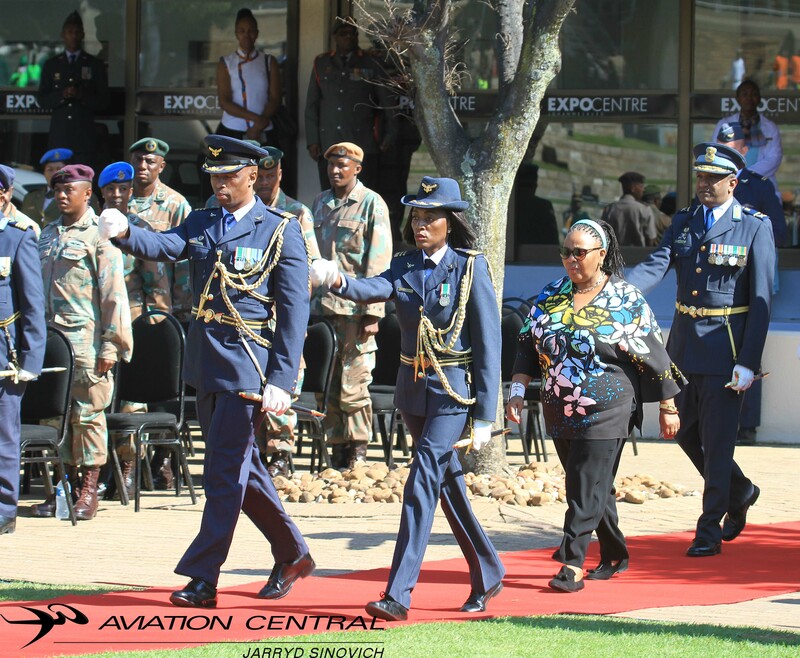 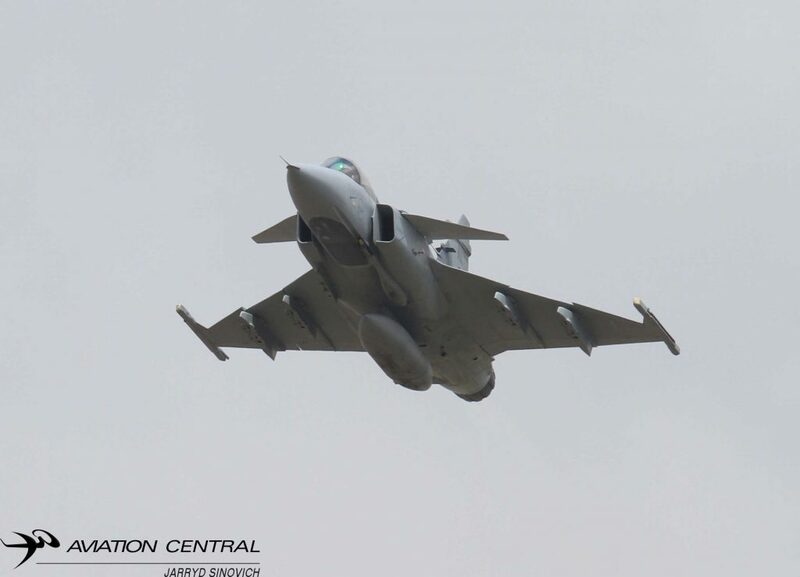 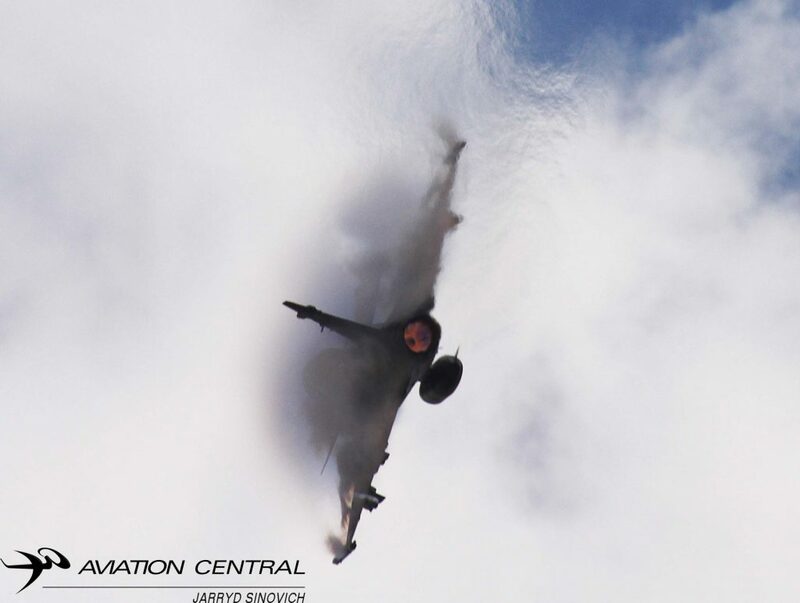 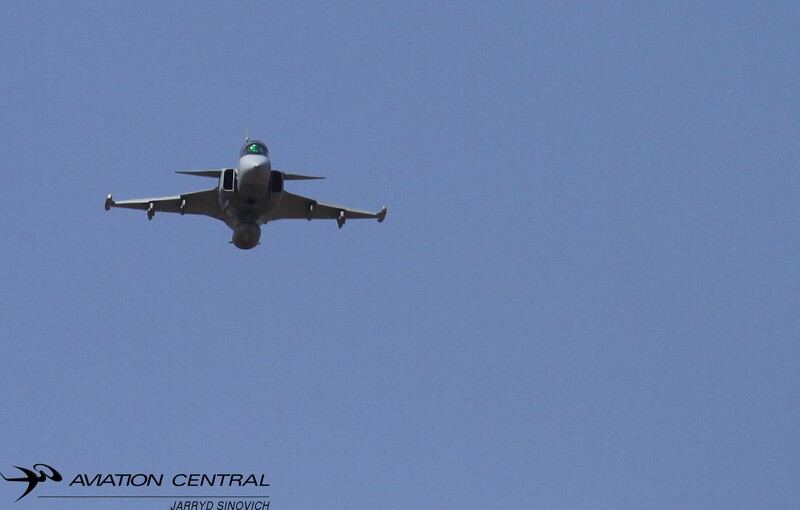 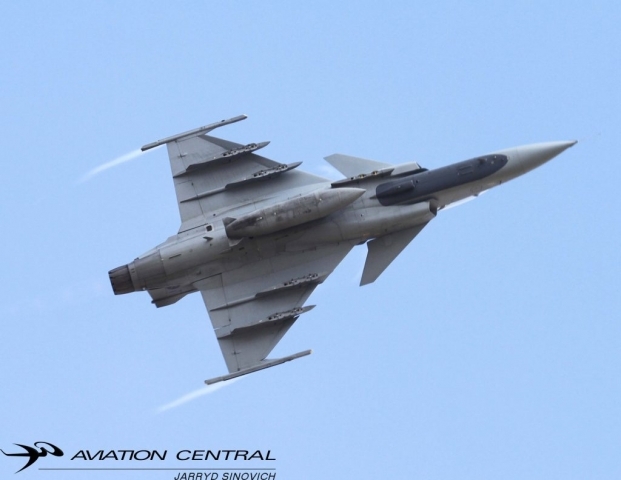 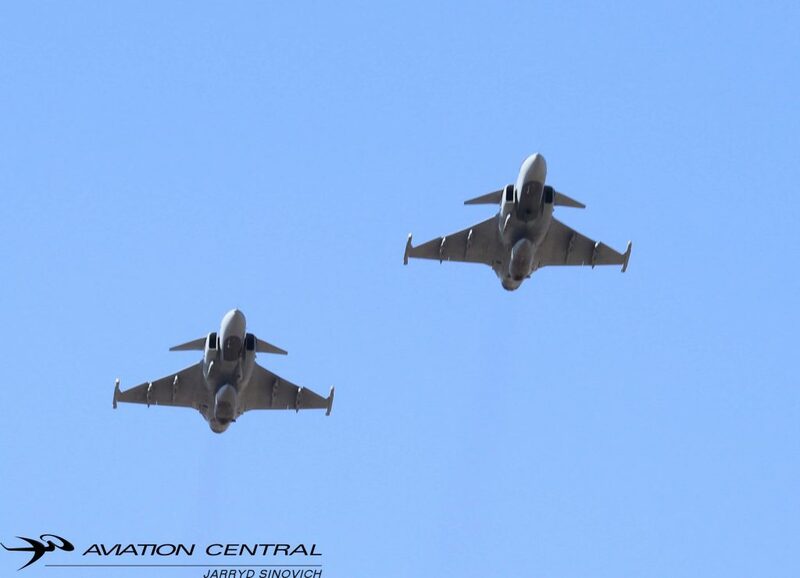 What Fly-inn in South Africa gets the South African Airforce Silver Falcons and 2 Squadron Gripen display pilot to be present at a event. 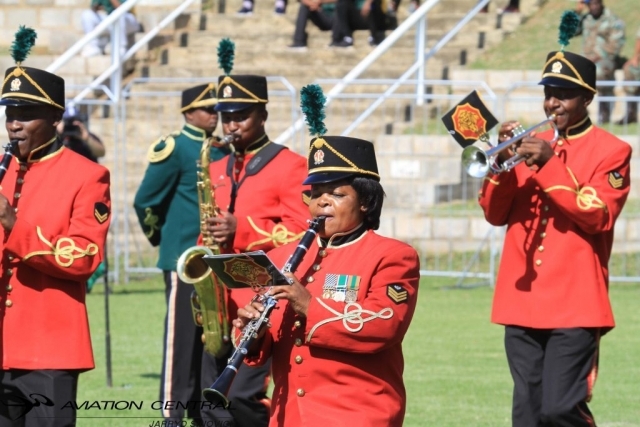 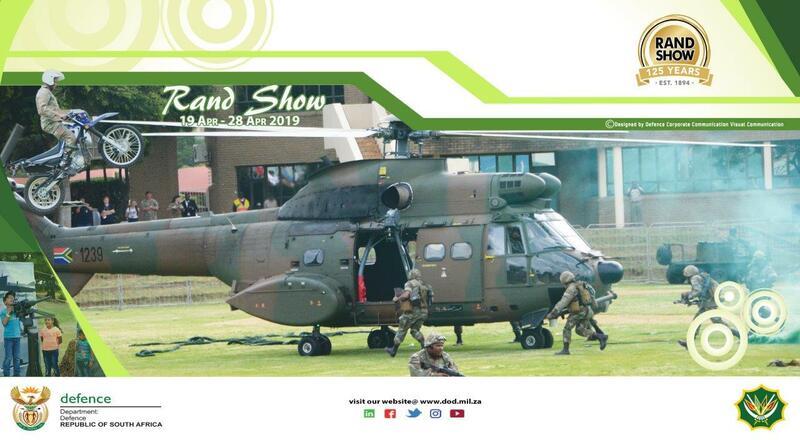 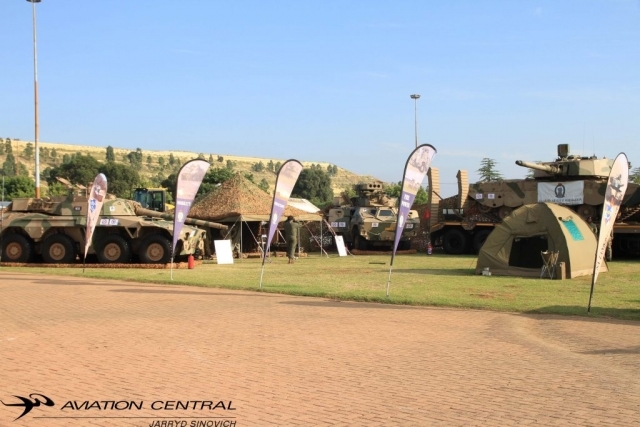 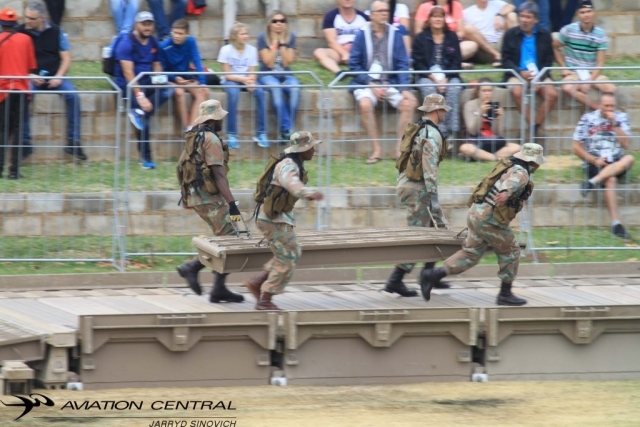 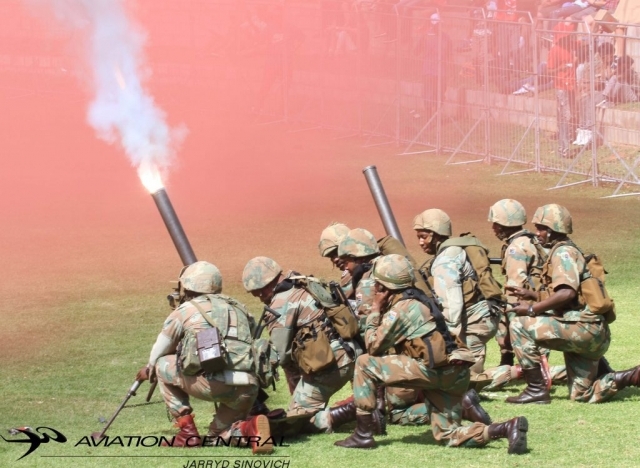 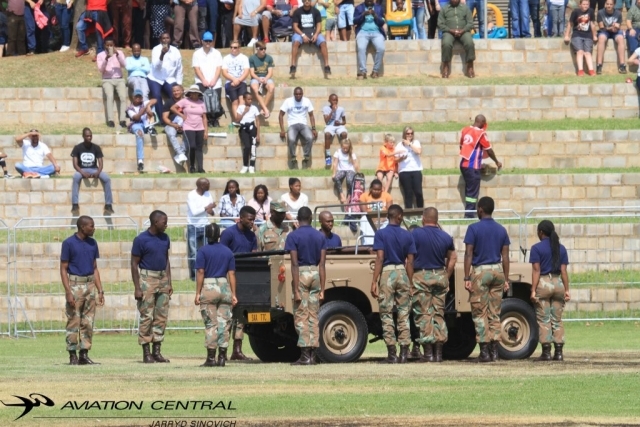 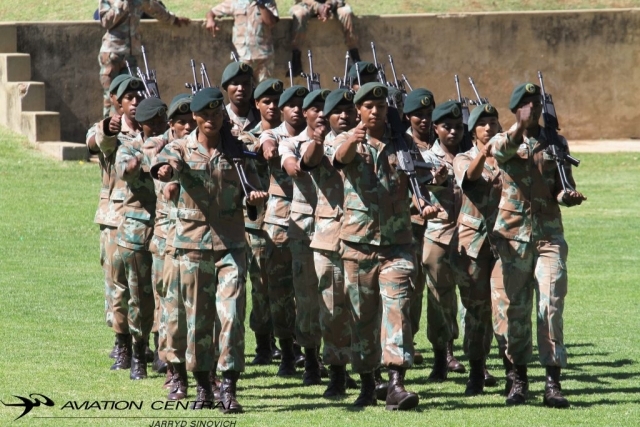 Yes the Coves, Major Omphile Matloane brought some of his crew and as well as Major Geoffrey ‘Spartan’ Cooper to the event to watch some of the displays and interact with the crowds. 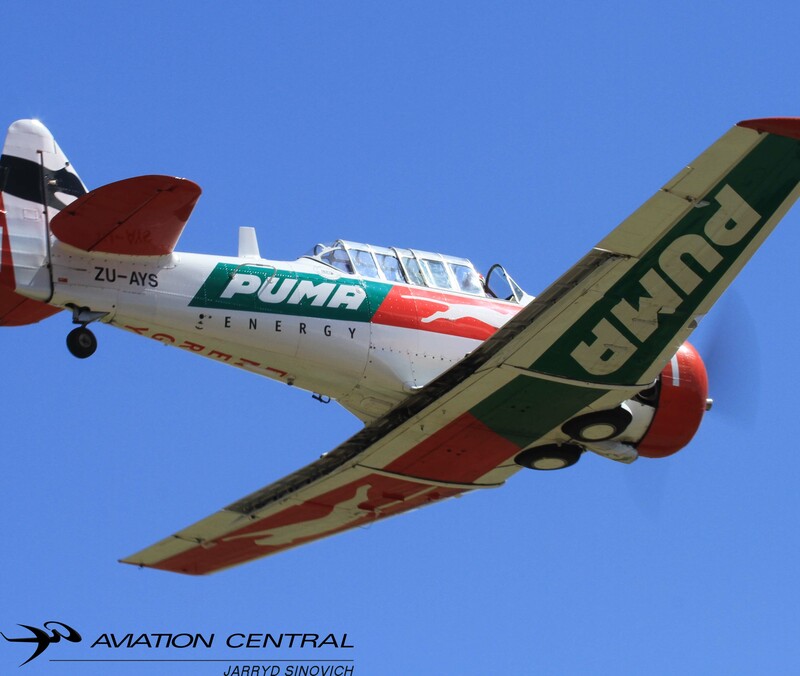 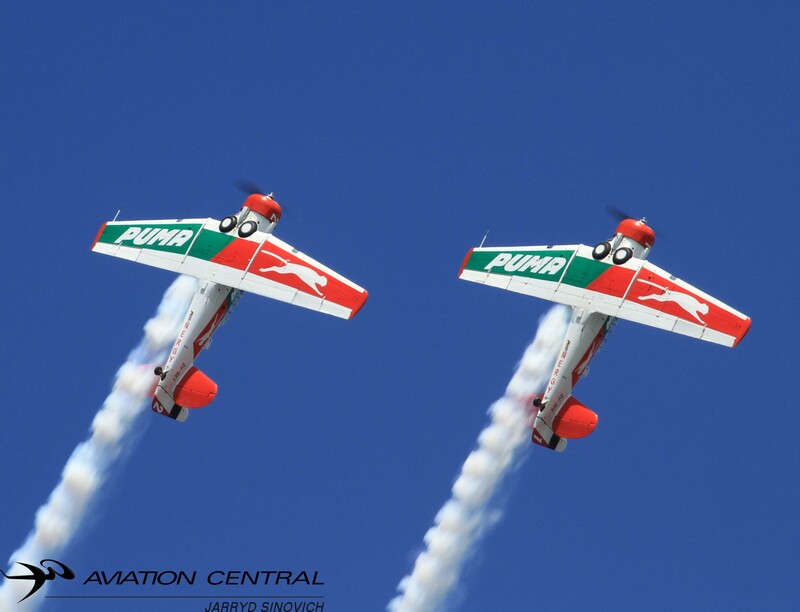 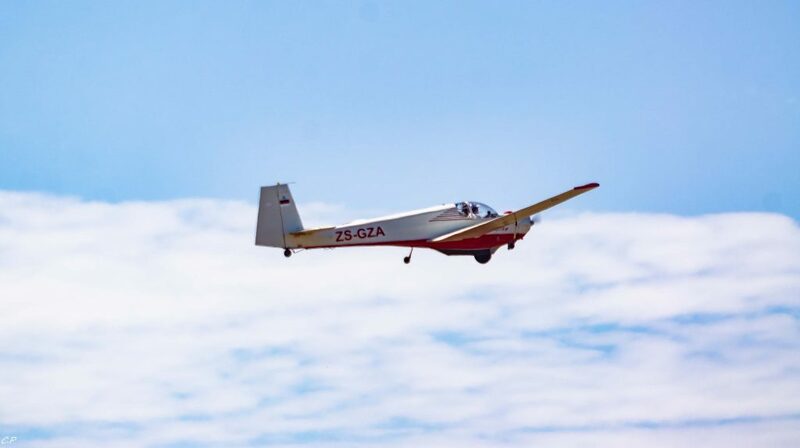 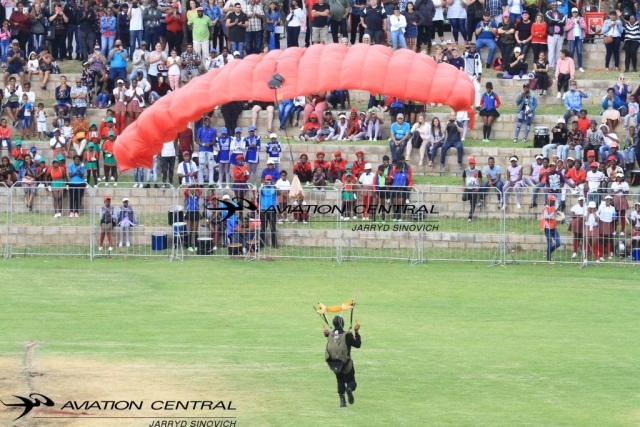 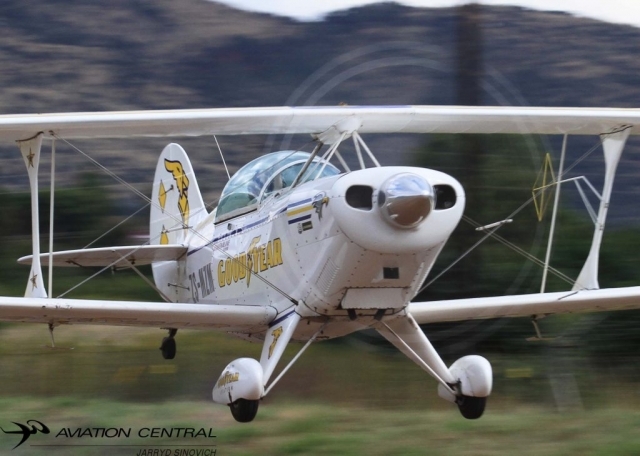 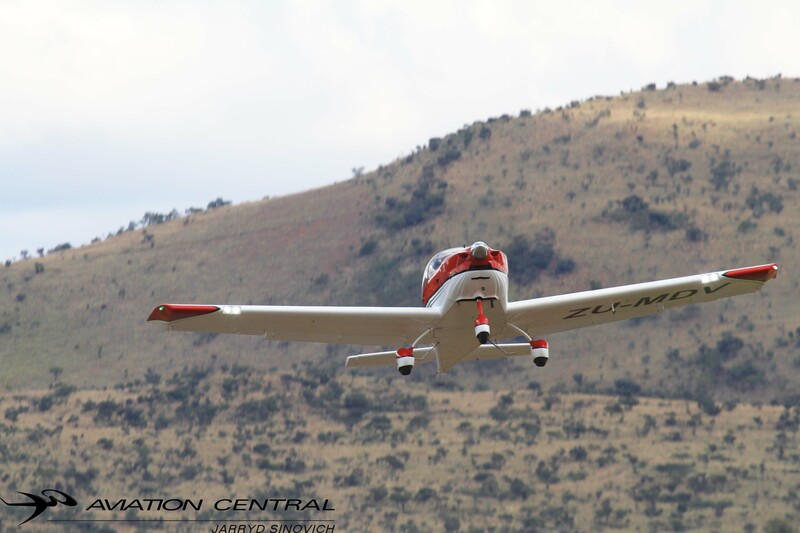 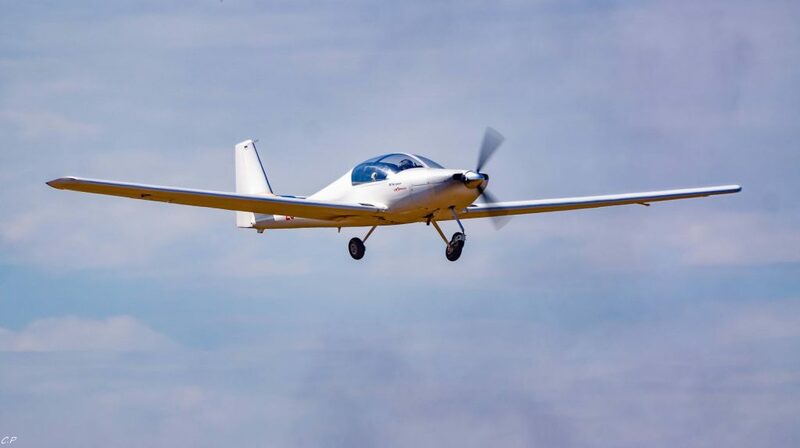 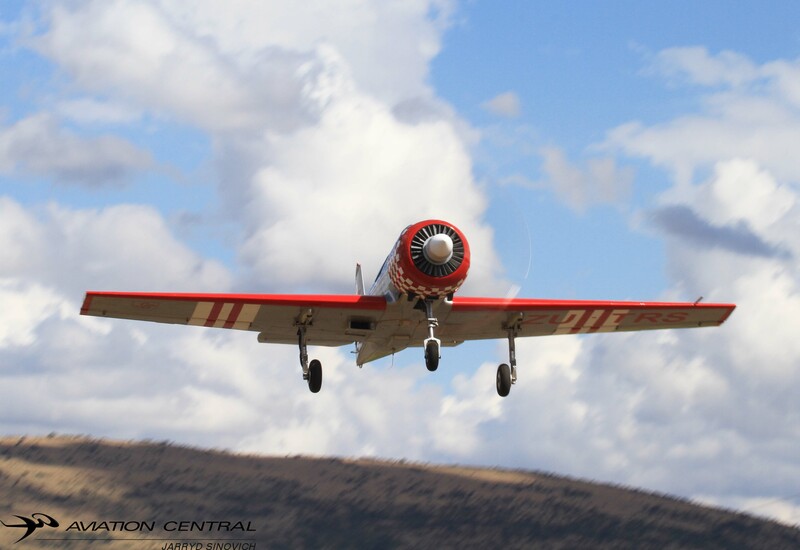 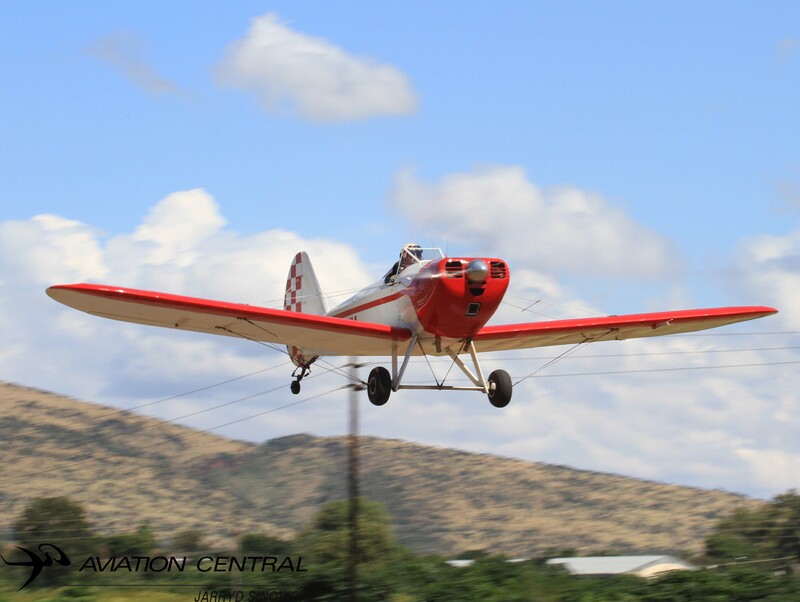 Flying displays consisted of RC Flying displays ,The Puma Flying Lions led by Captain Scully Levin, flew out from Rand Airport for their Harvard display. 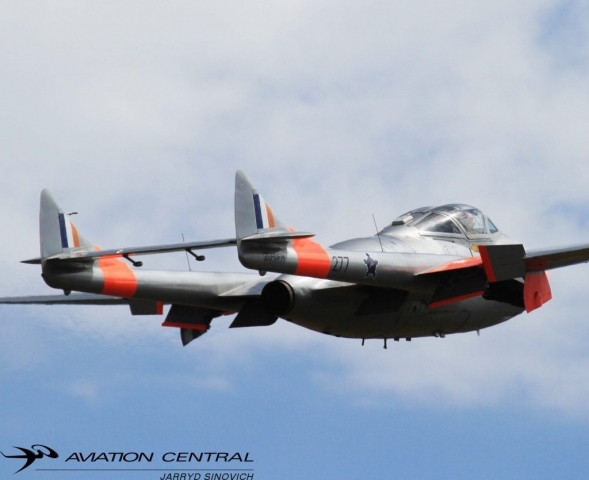 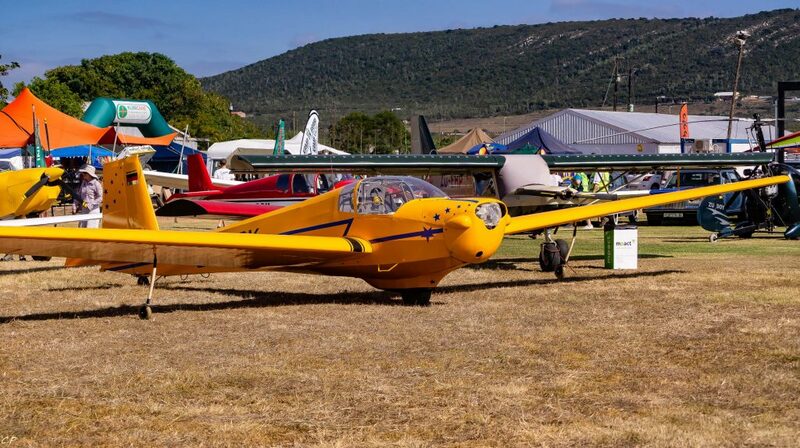 The Goodyear Eagles flew a three ship Pitts Display led by Glen Warden who earlier in the day brought the SAAF Museum De Havilland Vampire T55 for a couple of low level flypasts. 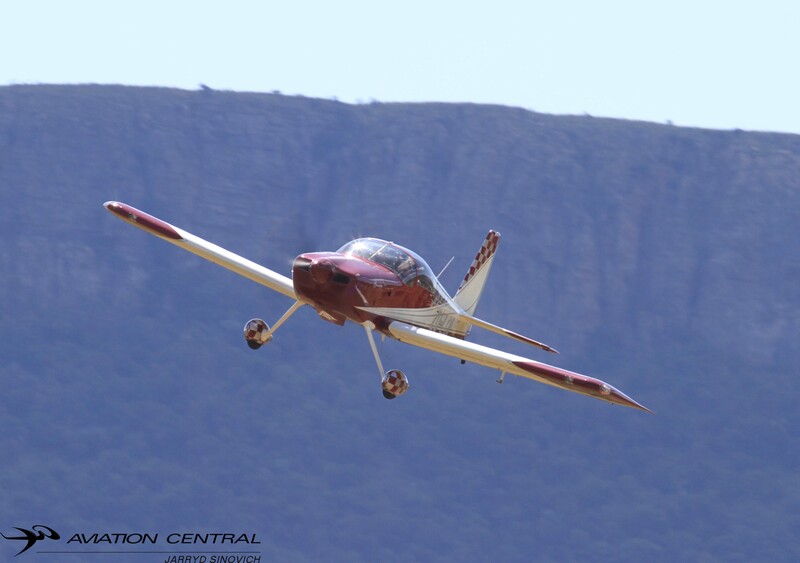 Jason Beamish flew his brand new extra 330 and later joined up with Nigel Hopkins in his Extra 330 for a dual sunset display. 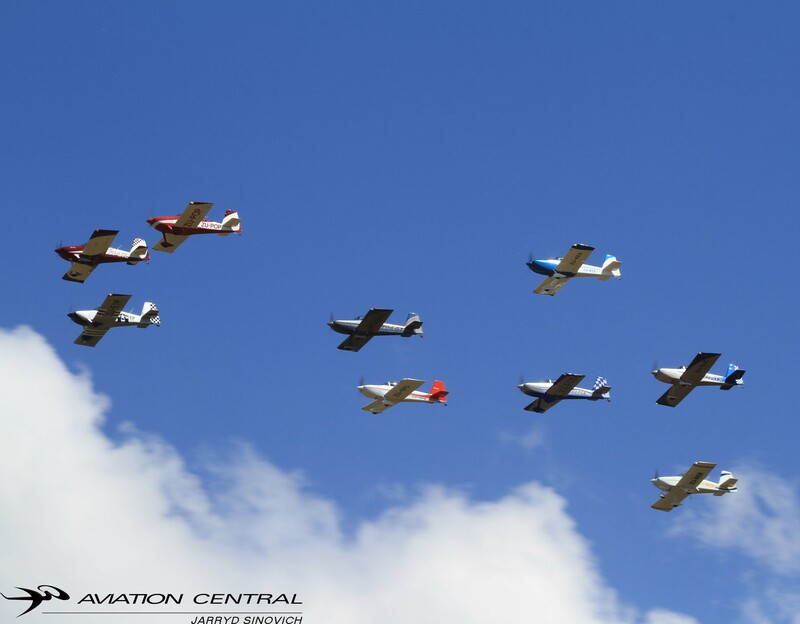 Other flypasts for the day included a mass RV Formation as well as the Coves flypasts with many resident aircraft flying past the crowd line during the day. 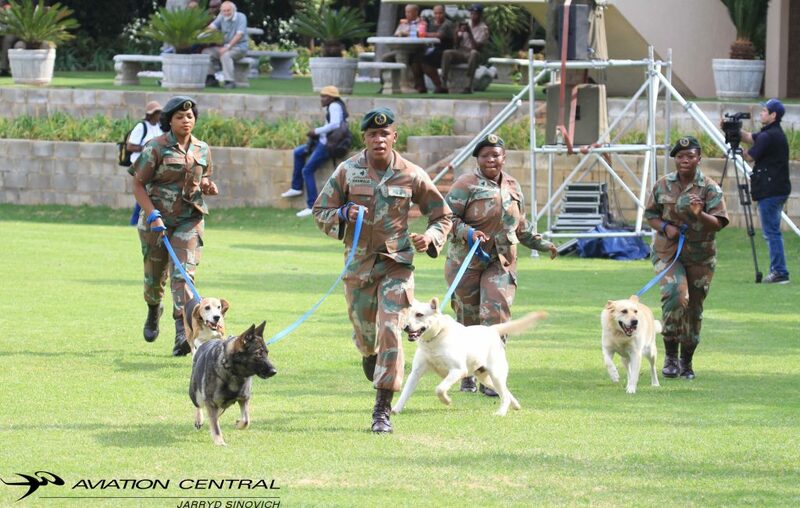 Well done to JP Fourie and all other members involved in making the day a huge success. 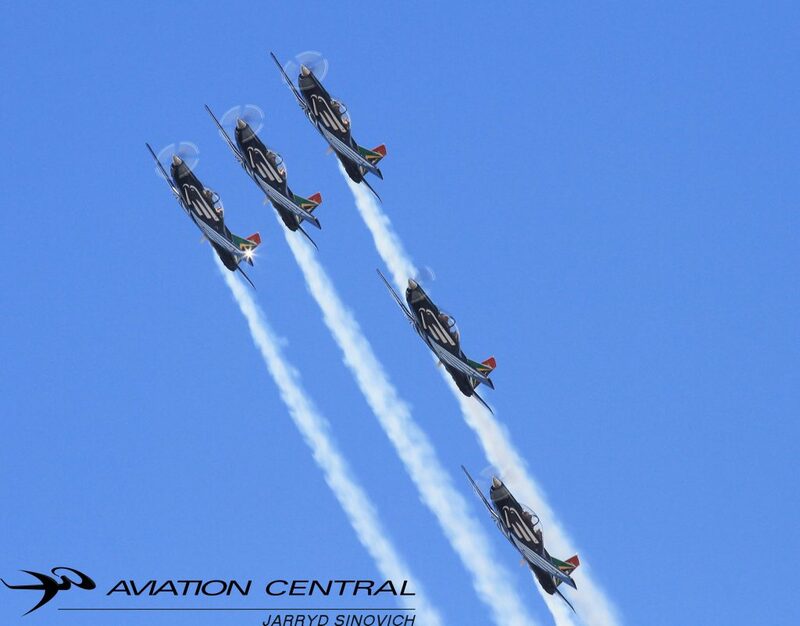 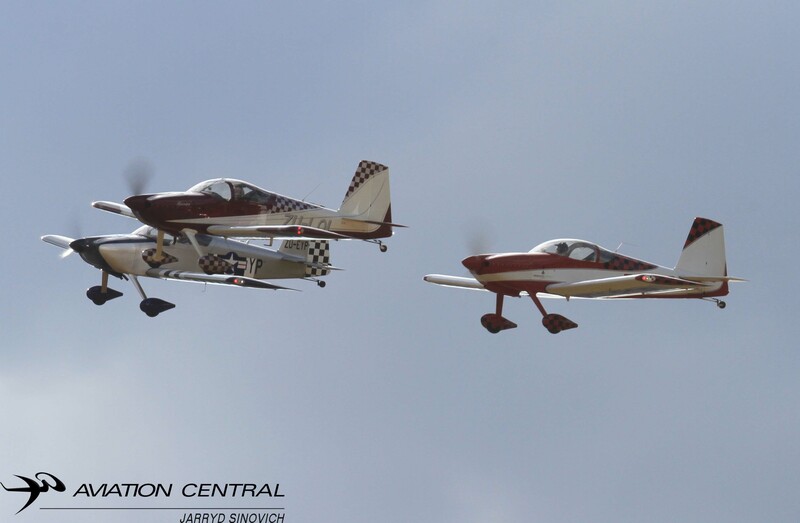 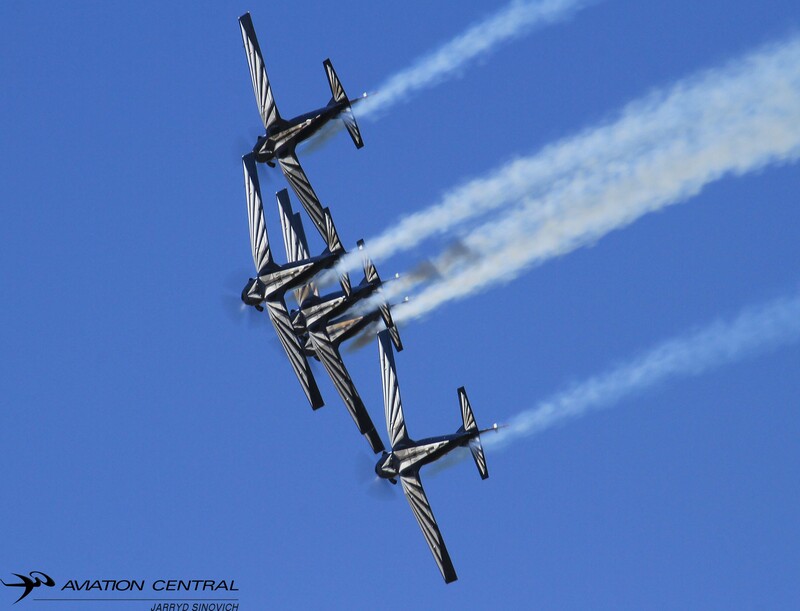 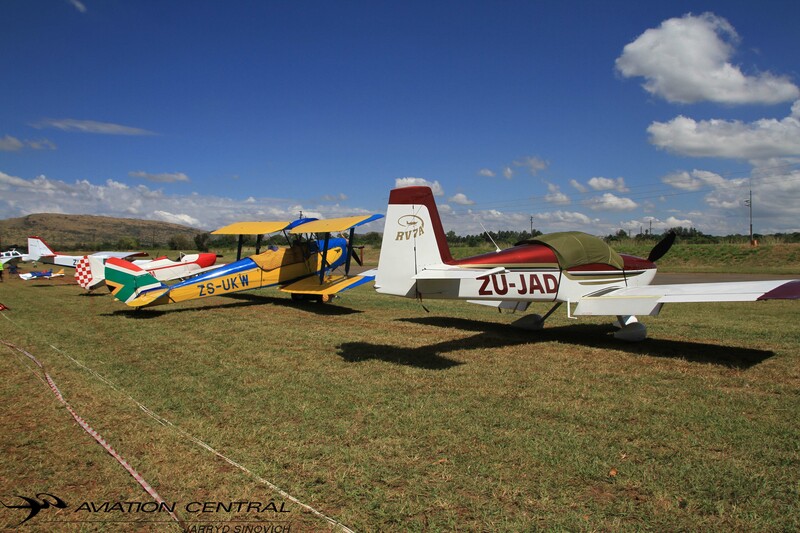 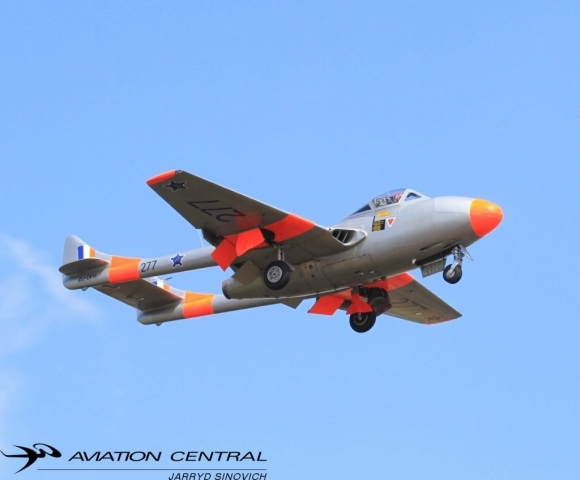 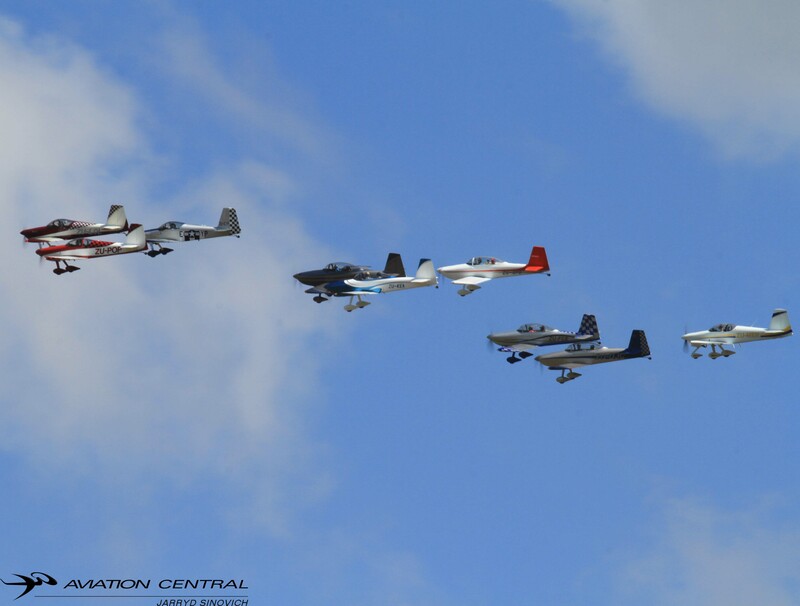 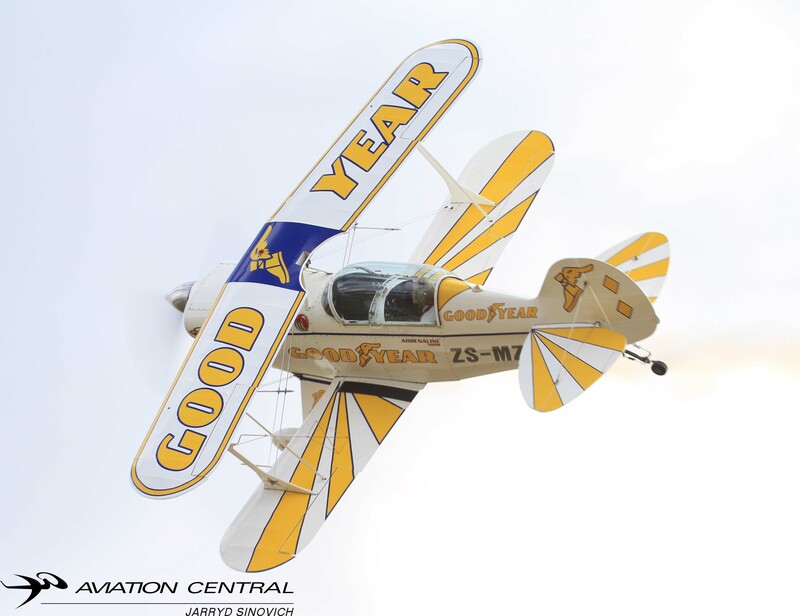 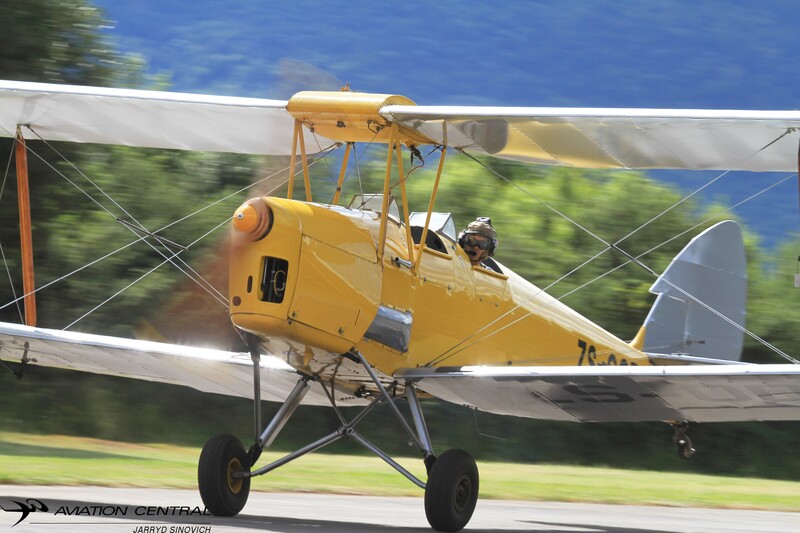 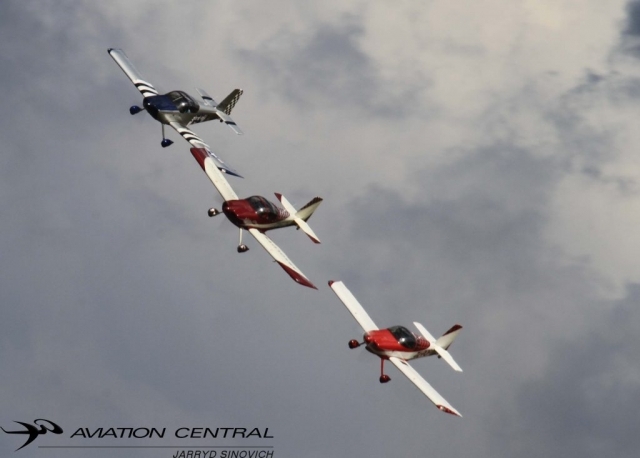 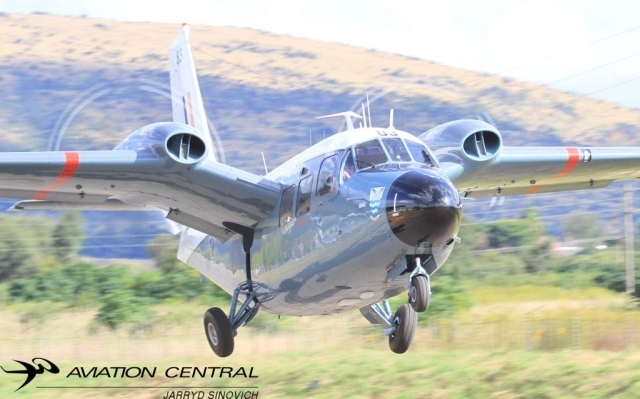 We look forward to a even bigger and better fly-in next year.